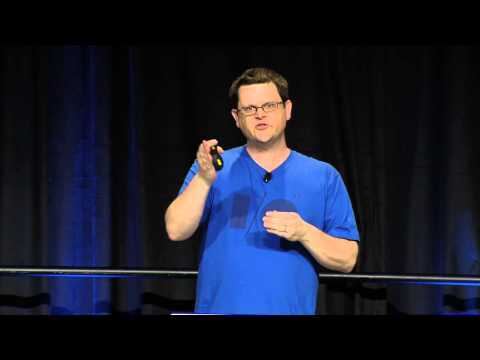 We'll illustrate affordances on the Android platform that aid blind and low-vision users, and explain what application developers need to pay attention to in order to reach the widest possible user base. 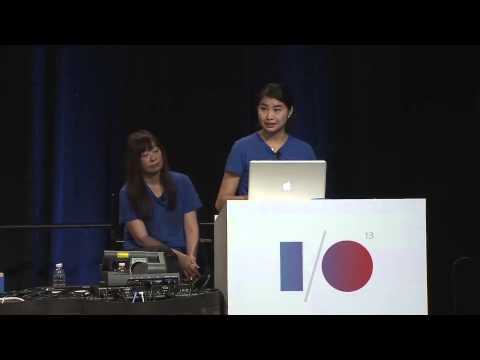 The primary focus of this talk is making custom Android views accessible. 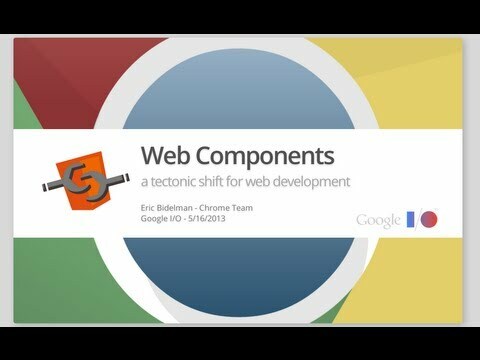 Web Components are here to fundamentally change the way we think, build, and consume our web apps. 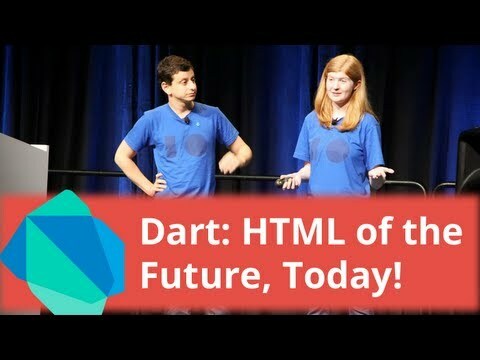 This session will prepare you for the future of the web platform by discussing the lower level technologies that form the basis of Web Components (Shadow DOM, <template>, custom elements, MDV, new CSS primitives). Many of these tools have already landed in a modern browser near you! This session builds on technologies and concepts discussed in a previous session, 'Web Components: a tectonic shift for web development'. This year web development gets a whole lot better thanks to the incredible power of Web Components. Our goal in this session is to show you how to use polyfills to help you realize tomorrow's web platform today. As browsers implement these new specifications, that shim layer gets smaller, better, and faster over time. We'll talk about shadow DOM, custom elements, declarative data/event binding, touch input, smooth animations, and how you can combine them to create awesome apps. Write less boilerplate, target every platform, and be more productive by using the next generation of the web platform. In an ideal world, we would always use feature detection to decide what features to serve our users. Unfortunately, in the real world, there are practical problems with that approach, especially when facing users on mobile devices where you need to evaluate their runtime capabilities while you're serving assets. 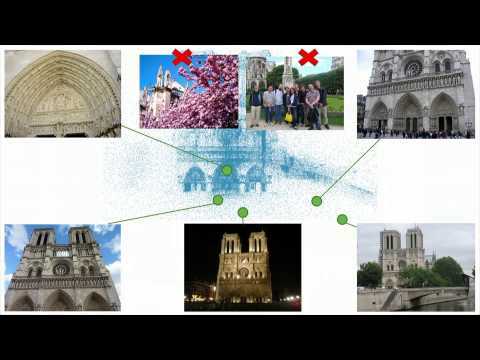 In this talk, I'll introduce the ideas and tools behind feature detection and then discuss our experiences with detecting the edge of the web at Coursera. A high-level view of everything that's now available as part of Google Play services since it's launch, with a special focus on how this affects you as a developer - and what you should be paying attention to. It's tempting to view CSS optimization as a dark art, for initiates only. This session will focus on identifying and resolving slow renders, with an emphasis on layout and paint times. We'll use Chrome DevTools to find, benchmark, and debug slowness in the render-side of an application. 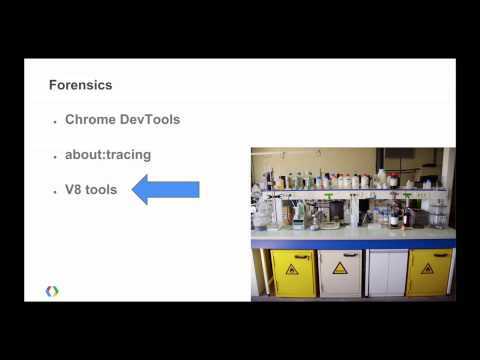 Uncovering a number of sluggish culprits, we'll explore where the time is spent and dig into profiling data from Chrome's internals. You'll walk away with a better understanding of how to use your time wisely while making your application scream with speed, and smart workarounds that address common CSS performance problems. Building for today's mobile web, getting 60fps across all target devices, while still delivering a fantastic user experience is a huge challenge. 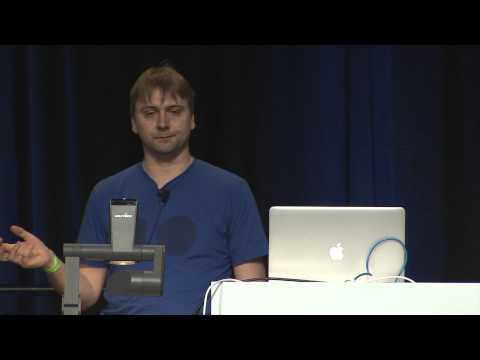 We'll dive into all the tools for development, testing, and performance evaluation of mobile webapps. Understand how best to develop with immediate feedback from the mobile devices you're targetting, scale up complexity to avoid hard performance decisions later. We'll also review all the possibilities of device testing locally and in the cloud. 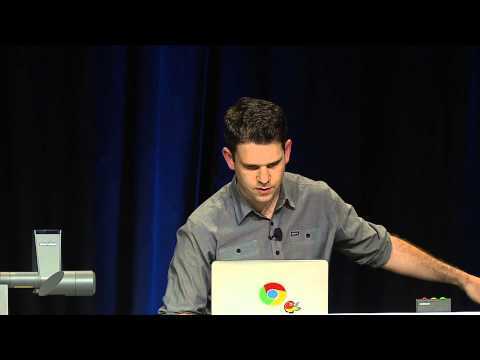 In this session we'll debut improved remote debugging with Chrome for Android and the Chrome DevTools. You can now do local tunneling for improved local development. You'll walk away from the session with a solid overview of the landscape of mobile web tooling and feel confident returning to your projects. An in depth tour of the Android development tools, with a closer look at everything new - along with tips and tricks for getting the most out of them. 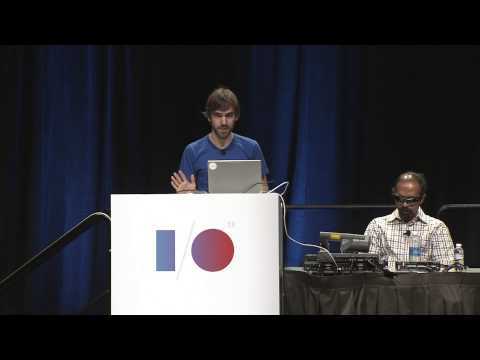 For a more detailed look at one of the demos presented in this session, check out Brad Abram's overview 'Google I/O 2013 Demo: Android Studio + Cloud Endpoints Synchronized StopWatch Demo' (http://bradabrams.com/2013/06/google-io-2013-demo-android-studio-cloud-endpoints-synchronized-stopwatch-demo/). The fast pace of innovation on the Chrome platform calls to mind the Wild West, but developing a product on this frontier is easier than it seems. 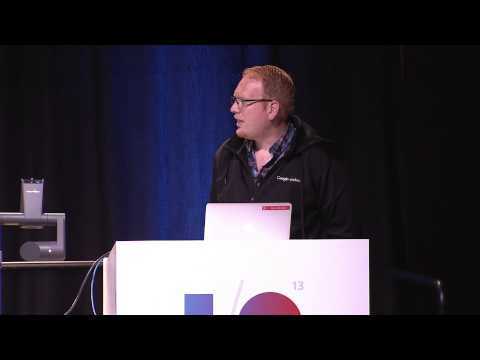 In this session, the lead engineer of the Google+ Photos Chrome application will provide an anecdotal account of what it takes to ship a real-world Chrome app. Take advantage of lessons learned, including how to get the changes you need into the platform. In addition, we will highlight several new APIs in Chrome packaged apps that allow your application to interact with and drive real-world devices. 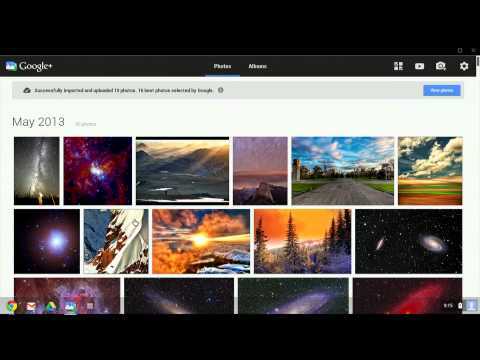 Learn how we built Google+ Photos to look and act like a native application and learn how to do the same with your Chrome app. The web continues to evolve at an accelerated rate. It's hard to keep up! 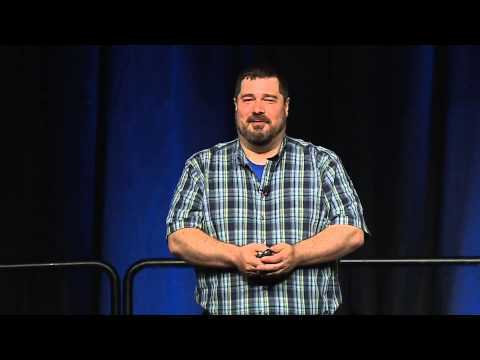 This session will cover the bleeding-edge features of HTML5 that you may have missed, focusing on features that make developers' lives easier and apps more powerful. A heavy focus will be on freshly landed CSS/JS/HTML primitives which address layout, performance, and specific use cases...especially on mobile: @viewport, @supports, intrinsic/viewport units, resolution & pointer media queries, User/Resource Timing APIs, JS i18n API, iframe goodies, <template>, , and more. Learn how to add Google+ Sign-In to your Android app, grow your installed base using OTA installs, drive more engagement using interactive posts, and monitor your apps' performance on Google+. 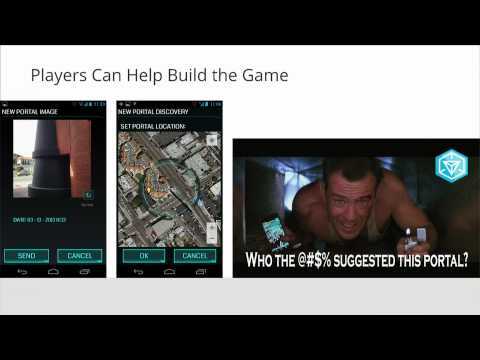 Hey, mobile game developers! Wondering what Google's been working on to make life better for you? 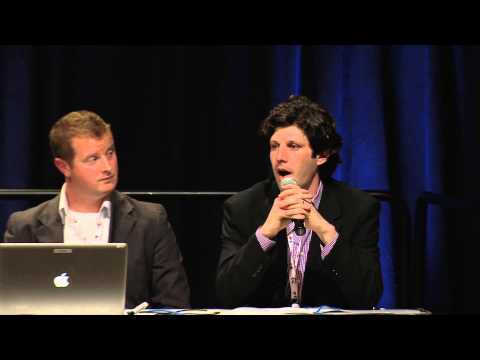 Drop by the New Developments in Mobile Gaming talk and hear about the latest features we've been building to give your mobile games a little extra moxie. Google Cloud Messaging allows your services to efficiently send data to applications on Android devices. See what's new, and learn how to use GCM to make your apps more efficient. 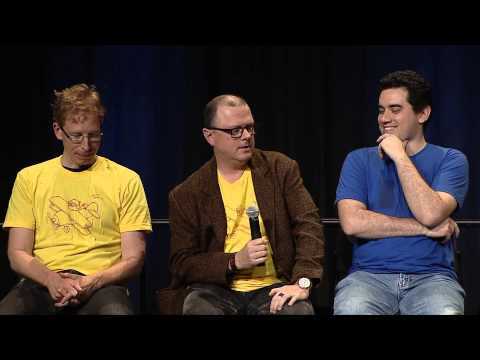 Take advantage of the lessons learned by the developers of Find Your Way to Oz. Getting that last ounce of performance from your application takes careful optimization that can only be done with an understanding of the runtime environment. Learn how to dig into V8 and surface the important signals that you need to effectively optimize your program. Use these signals to find where small code changes can have large impacts on performance! Thousands of developers monetize apps on Google Play through try-and-buy, virtual goods, as well as subscriptions. Learn how to leverage the more robust (and simpler!) 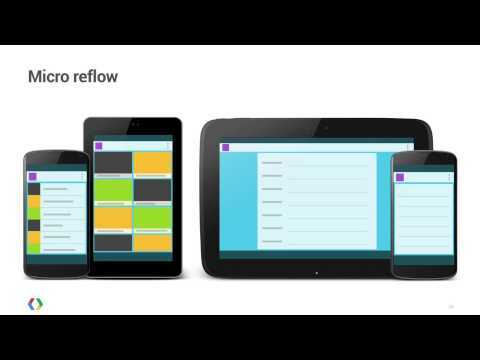 new generation of the Android in-app billing API that makes implementations easier to write and maintain. Familiarity with earlier versions not required. We will cover: availability, purchase flow, subscriptions, consumption models, and security best practices. With Daydream, new in Android 4.2, an idle or docked device becomes an opportunity for your app to delight the user. But where did this feature come from? Should your app support Daydream? How easy is it to add a Daydream? How can you make yours more fun and engaging? Answers to these questionsplus plenty of ideas and sample codewill be provided for daydreamers attending this session. 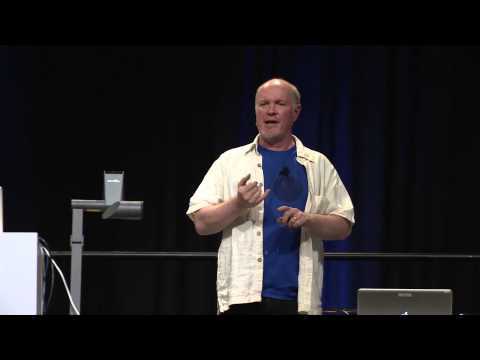 Chrome implements fast, powerful webpage rendering by using the graphics hardware (GPU). But powerful GPU rendering introduces a new suite of issues that web developers need to understand. For example, how often is the texture cache invalidated? How can using translate-z cause GPU performance issues? 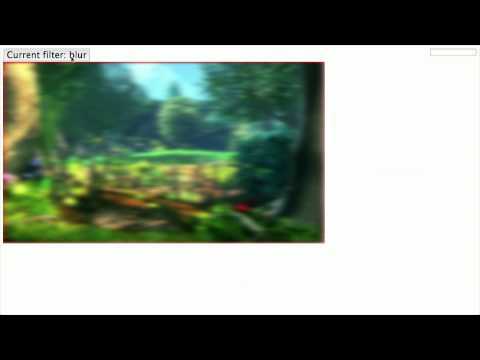 How do hidden divs affect the GPU compositing process? Attendees will walk away with a clear understanding of the GPU compositor in Chrome and knowledge of how their design choices will impact a page's performance on devices with GPU compositing. Users expect a fast and optimized experience regardless of whether they're on a mobile or desktop browser. However, delivering a fast mobile experience requires careful consideration and engineering: you need to optimize your network access, you need to prioritize critical assets to deliver the best visual rendering performance, and you need to adapt your pages to the capabilities of the device (such as smaller viewport, touch, high-resolution screens, etc.). In this session we will take a deep technical dive into the criteria that affect the performance of your sites on mobile browsers, and discuss how you can optimize your site to deliver the best experience to your users. 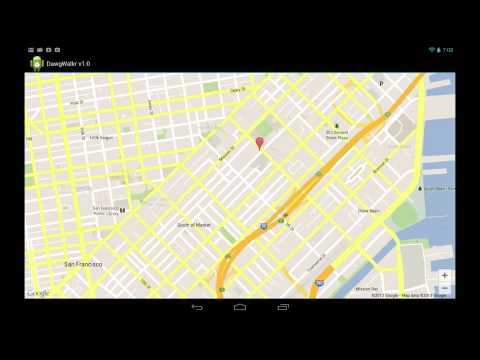 Build intuitive and compelling mobile map apps with the Google Maps Android API. 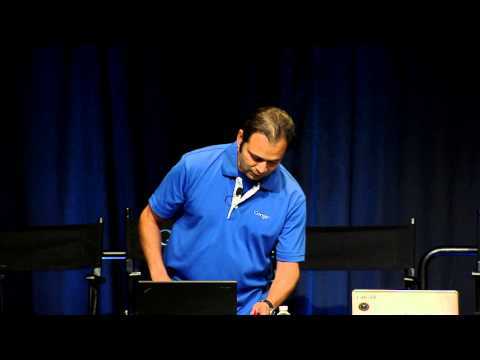 This session will demonstrate innovative ways to integrate maps and Android sensors with Google services on Android. We will explore concepts on visualizing contextual, personalized and timely information. 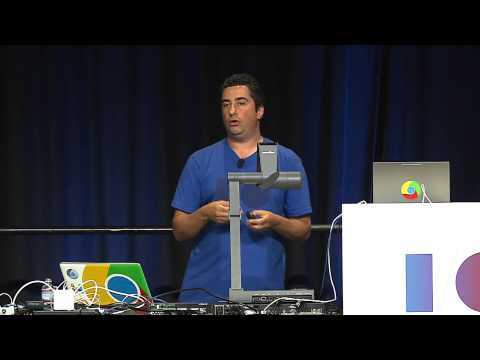 As the complexity of the web apps you build keeps moving, so do the Chrome DevTools. 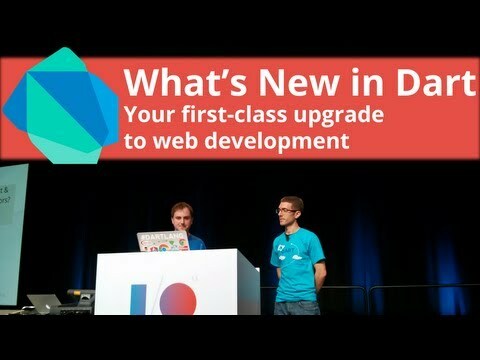 We'll give you the latest update on your favorite companion; explore new features like emulating mobile devices, remote debugging, Canvas and WebGL profiling, Sass preprocessor support, developing completely within Chrome using the new Workspaces support, and 20 other features that are brand-new to you and will hugely improve your development. Also, learn how to profile and improve your #1 enemy to scrolling performance: paint. 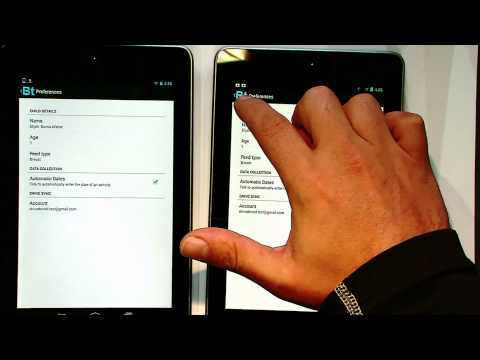 Emulate mobile devices within Chrome DevTools with simulated touch events and geolocation data. 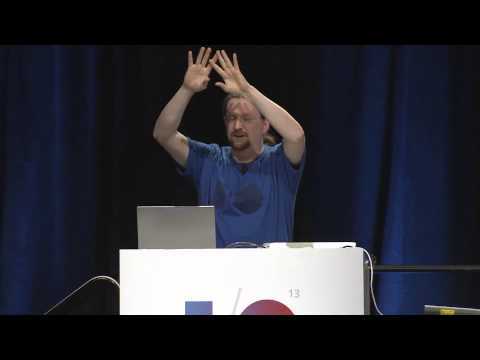 You'll walk out of the session with a huge advantage in productivity, speed, and precision when developing, debugging, and improving your web applications. Introducing the new Gradle-based Android SDK build system that will eventually replace Ant and the Eclipse builders. It brings extensibility, dependency management, IDE integration, testing support and advanced features. We will teach you everything from the basic setup to advanced configuration and customization. Learn how to take your game to the next level on Google Play. Our annual game talk, with ways to power up your distribution, user acquisition, and retention. Earn the Gold Rush achievement. Score three stars in quality and be one of the featured games on Google Play. Volley is a library that makes networking for Android apps easier and most importantly, faster. We'll give an overview of how it works, common patterns that work well with it, and a walkthrough of how you can easily load thumbnail images for your ListView from the network in parallel. We used to develop websites solely for desktop users. Today, we also develop for mobile devices, and who knows what new form factors will follow tomorrow. How are you expected to cope with many different constraints, and what are the right ways for approaching device agnostic development? 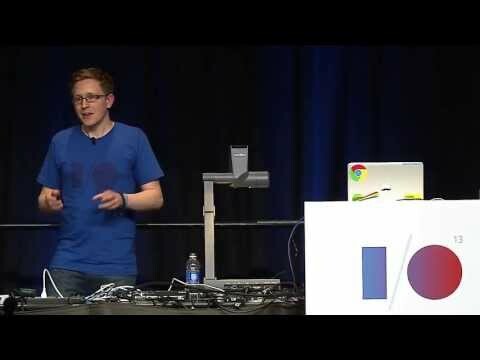 Come learn about the Google PageSpeed family: (a) Insights products to help identify performance problems (through browser extensions, online, and API). (b) Automagic optimization: open-source Apache and Nginx PageSpeed plugins that can optimize your site for you. See hands on examples, stats and case studies from partners (AOL, and few others). 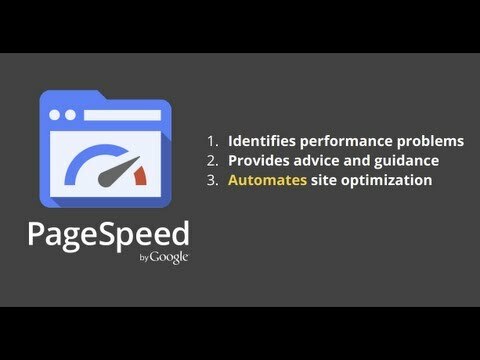 (c) PageSpeed Service: explanation of the Google hosted web optimization product. 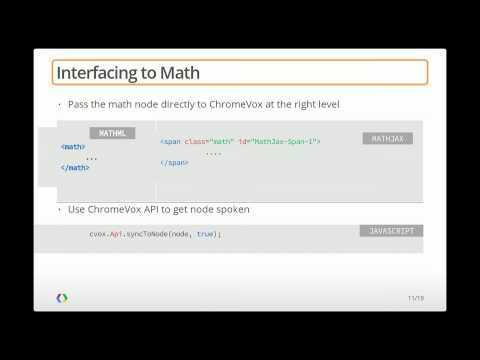 See examples of advanced integrations with other Google products (e.g. 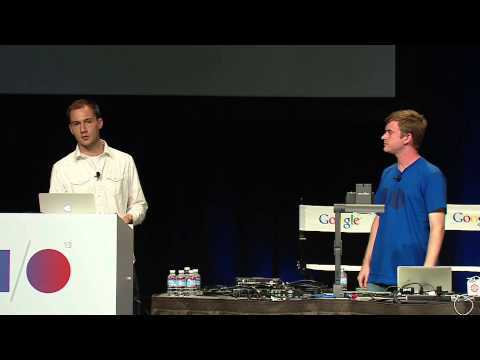 App Engine, A/B testing with Google Analytics, etc). (d) Chrome data compression: an under the hood look at how Chrome leverages pagespeed to optimize pages on the fly and provides up to 50% bandwidth improvement for mobile browsers! Location is not only at the heart of maps, but increasingly it's becoming critical to a new generation of contextual apps that are more aware of where the user is and what they're doing. 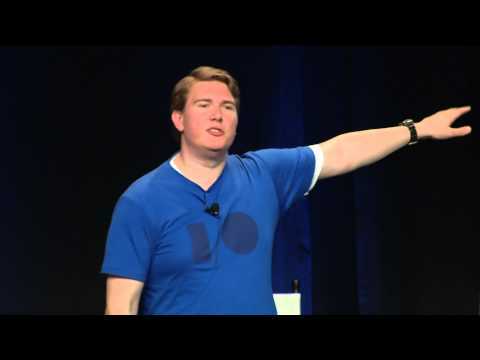 Join us as we explore some of the new applications these APIs make possible. From infrastructure to game logic, writing a multi-player game can be challenging. 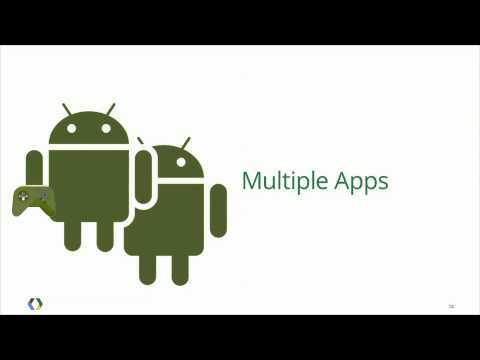 We will look at techniques to solve common problems when writing multi-player games for Android. With the Google Drive SDK, developers can integrate custom 'Create' and 'Open With' menus within the Google Drive interface and reach tens of millions of users. Using Apps Script API in conjunction with the Google Drive SDK, developers can take advantage of the unique capabilities of Apps Script while also developing entirely on the Google Cloud! We will also demonstrate how you can get programmatic access to files and folders in Drive via Apps Script. 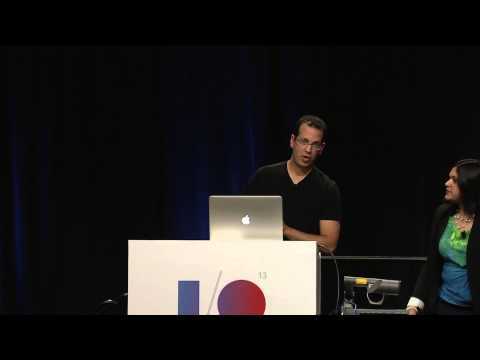 Engineers from the Android UI Graphics team will show some tips, tricks, tools, and techniques for getting the best performance and smoothest UI for your Android applications. YouTube recently launched several new APIs (Data API V3, Analytics API, Android Player API) and mobile developers have much easier time integrating the world's video platform into their application. Learn about the best practices and see cool examples from innovators in this area. Ever try buying something on the mobile web? Combine a mess of form fields and a soft keyboard and it's more frustrating than it needs to be. 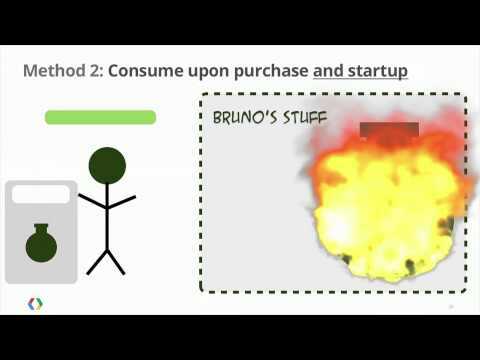 How many customers dont buy things from you because doing so is just too much work? requestAutocomplete() is an aspiring web standard that will allow users to bypass pages of form fields with an imperative API for requesting details the browser knows. In this session we'll highlight how to enhance your site with requestAutocomplete(), how to quickly implement the feature, and what to consider when optimizing the UX of your ecommerce experience. The mobile web is accelerating more rapidly than ever! This session will show you the bleeding edge of the mobile web, enabling you to take your mobile sites and apps to the next level. We will dive into features that you never thought you could enable in a mobile browser and give you practical advice for the year ahead. 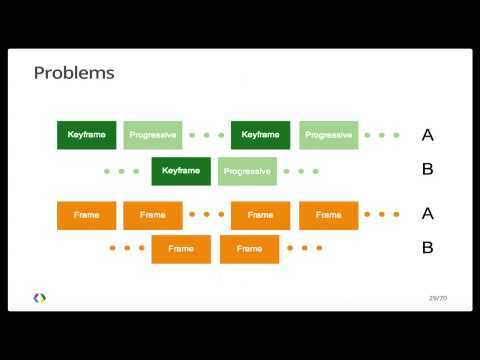 While the Android framework provides a number of layouts and prebuilt composable pieces for building UIs, targeted optimization or building unique hero moments often means writing custom views. We'll show you how the measurement and layout process works and patterns for advanced touch processing. Did you know that YouTube automatically classifies videos based on the Freebase Open Knowledge Graph topics that they relate to? We'll talk more about how we pull off this feat of classification, as well as how you can use topics to power YouTube API searches or find related videos. 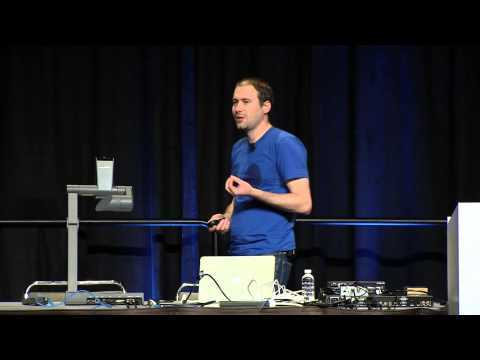 Building web applications often means utilizing other libraries, frameworks, and plugins. Using a package manager to mange this greatly improves your productivity, enhances the speed and security of your application, and makes it much easier to stay up to date. Forget tracking new releases of libraries on blogs/Twitter, manually downloading dependent scripts, and managing the files and folders of libraries you use. With package management, keeping your dependencies updated and discovering new and related projects becomes straight-forward. In this session, we'll dive into the value of client-side package management and bring you up to speed with the open source package manager Bower, which offers a rich ecosystem of packages. 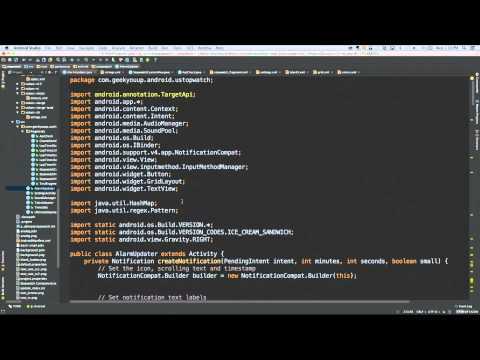 Plus, learn about the useful integrations with Yeoman, Grunt, RequireJS, and NPM. Since 2011, NativeClient (NaCl) has been a feature of Chrome available through the Chrome Web Store. PNaCl is the next exciting step for this technology. 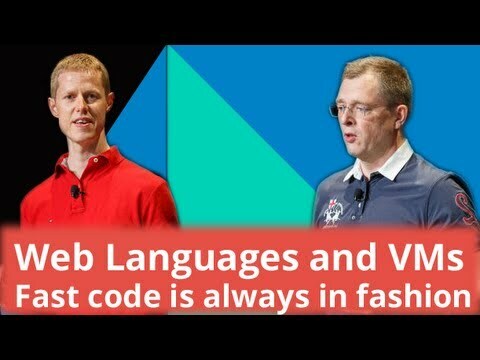 It continues Native Client's compatibility with developers' existing codebases and near native-code performance, but brings this to the open web in a truly portable fashion. 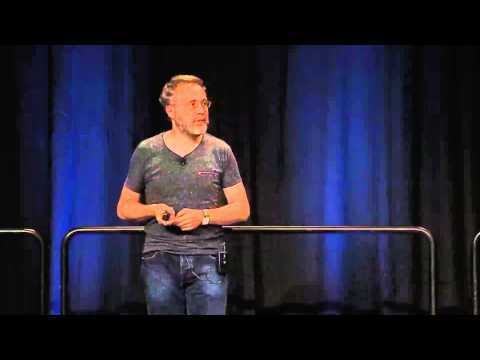 The technology is built around the open source LLVM compiler infrastructure. This technology enables application developers to build both web and Chrome Web Store applications that work on Windows, OS X, Linux, and ChromeOS for x86 and ARM. According to Cisco, video data will be 55 percent of all consumer Internet traffic by 2016. With that much data traversing networks, efficient video compression will be more important than ever, especially on mobile networks. We are very excited about the new VP9 codec, which delivers better video quality at lower data rates than competing technologies. Furthermore, VP9 was developed entirely in the open as a royalty-free technology. 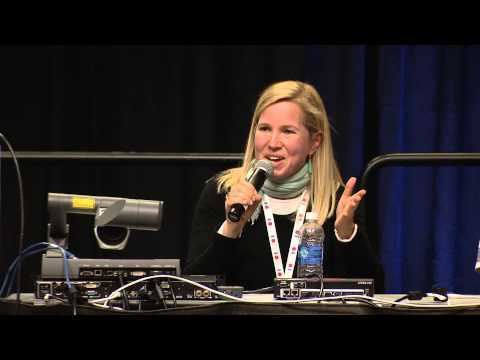 In this session you will learn how VP9 performs against H.264 and other other codecs in quality and decoding speed, how to create WebM videos with VP9 and the new Opus audio codec, and how to deploy VP9 content to Chrome users in HTML5 video. Animations and scrolling at 60FPS: difficult! Let's talk about rendering performance by way of a couple case studies. 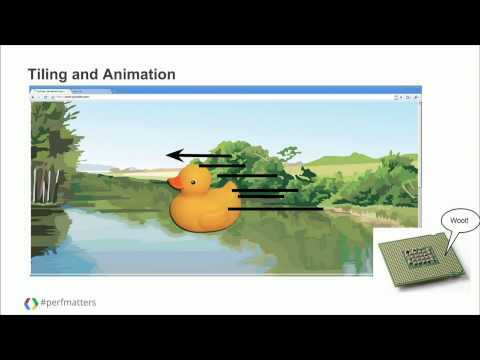 We'll cover the basic challenge of smooth animation, approaches to finding the bottleneck in your application using Dev Tools, and methods to cope with some common pitfalls. Topics include Dev Tools rendering features, subtleties of CSS animation, common cases that kill scrolling performance, and a peek into the hardware acceleration model that underpins Chrome's graphics pipeline. The future platform for reading is mobile. Creating a compelling digital magazine experience requires taking advantage of leading web platform features. CSS filters bring powerful creative control for content and now take advantage of GPUs on mobile devices. This session will cover content creation for state of the art digital documents explaining how these features work, best practices for performance, packaging for deployment and integration with other cutting edge CSS features. 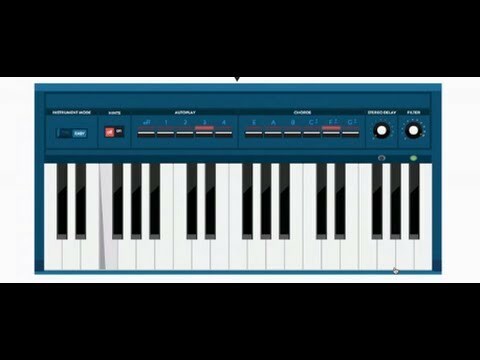 Its not that hard to play a background soundtrack in your mobile game app, or to play short clips of sound in response to user actions. But how about responsive reliable audio, that doesnt glitch, works well across a range of devices, and doesnt eat up your users battery? Oh, and is lower latency too? It turns out thats not so easy. Well share our own experiences with the Android platform and apps, discuss the problem areas and the work weve been doing in the platform, and give some techniques you can apply now in your own apps. 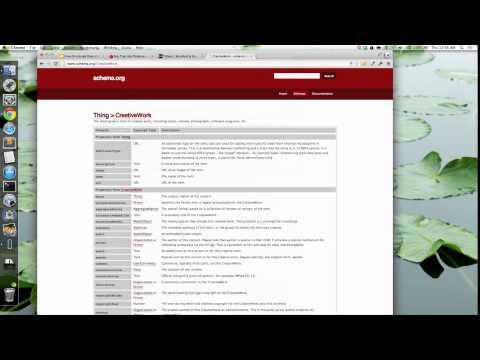 We assume youre familiar with OpenSL ES and audio terminology. 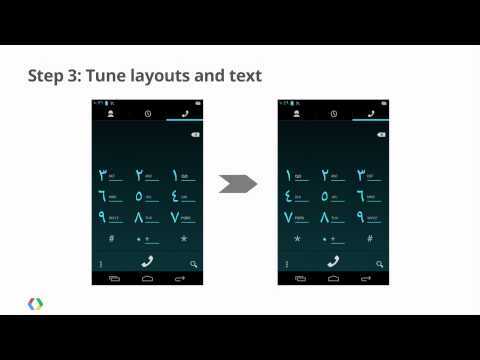 Take advantage of the Android platform to create a world-class app. 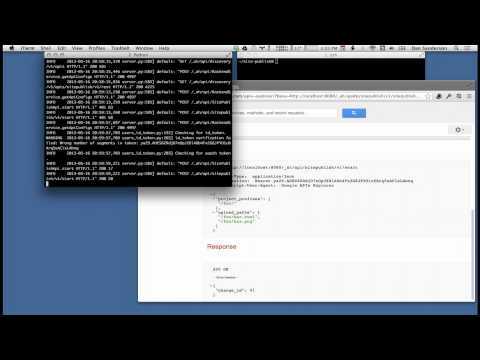 We will use Gmail as an example, walk through platform features, and provide example code. 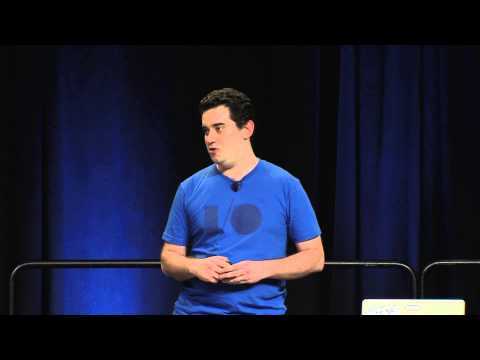 This talk will enable you to leverage the platform, reduce effort, and improve the app experience. 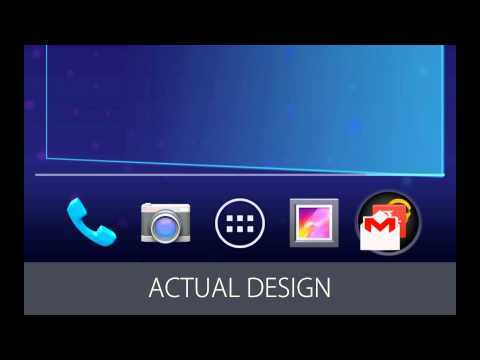 Design on Android is no longer a complex mystery of disjointed patterns; the Android design guidelines have paved the way for a design renaissance following the tenets of content forward and responsive mobile design. 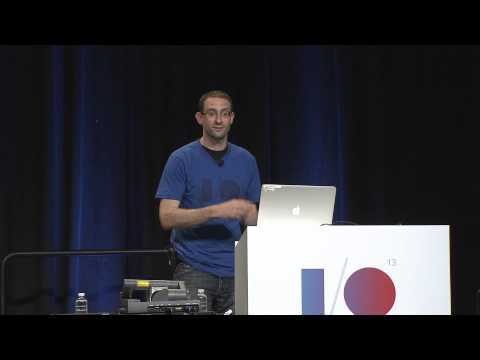 In this talk we'll explore the arsenal of tools available to Android UI engineers that let you implement some of these important guidelines, including responsive design with multi-pane layouts, metrics and layout grids, and core navigation components. Opinions on Bluetooth can divide a crowd, but the technology can connect them back together. This is an end-to-end session that gives a brief overview of core specifications and profiles before diving into Android Bluetooth support, best practices for development (with examples), and some features you may not be aware of. Android: As seen on TV! 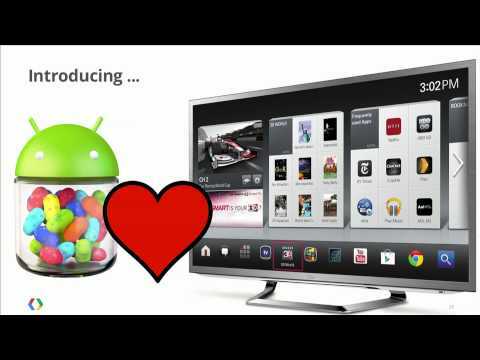 Google TV gives developers a consistent Android platform to create and deliver applications, games and high quality media on the largest screen in the house. 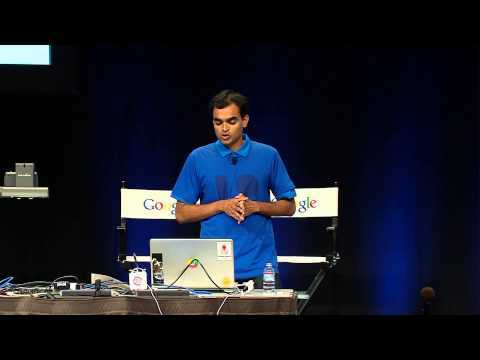 In this session we'll show you how to unlock the potential of the current Google TV devices and explain the new features of the next generation Google TV platform. Many commercially successful apps and games on Google Play share common attributes, including compelling application features, buyer profiles, and business models. 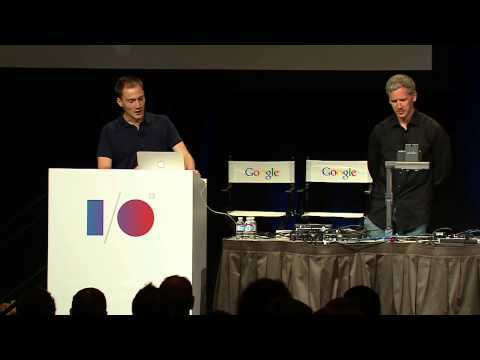 In this session, we'll share what Google and developer partners have done to create successful monetization recipes. We'll also share our plans for further strengthening monetization on Google Play. 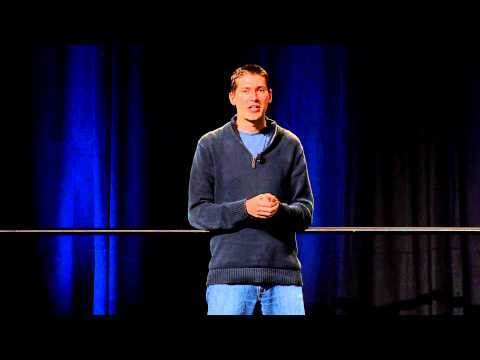 As an Android application developer, your goal is to get your app discovered. 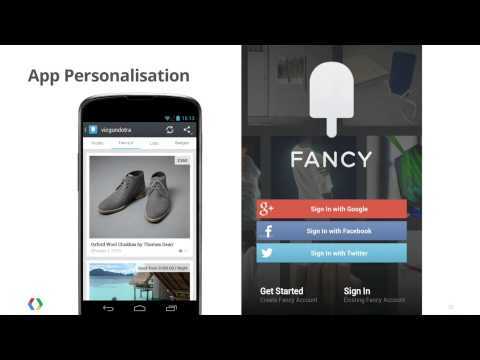 Google Plays goal is to surface the most relevant content for Android users. 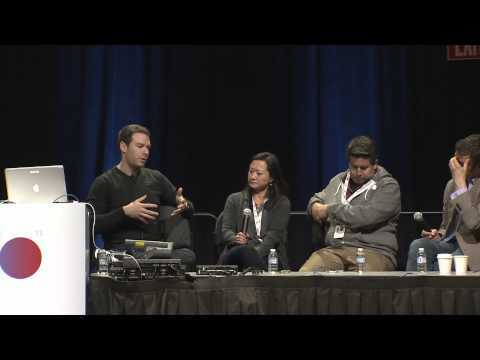 In this session, we discuss best practices for app creators in view of both goals. We will demonstrate, through concrete examples, best practices to help your application rise above others in the Google Play Store. We will discuss the signals that go into creating the top and trending lists, personalized recommendations, and Google Play Search. 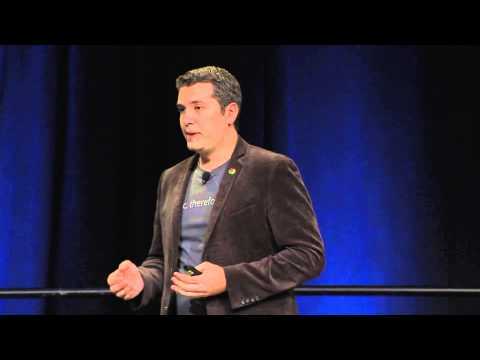 Come hear the inside story from the person who leads search & discovery on Google Play. 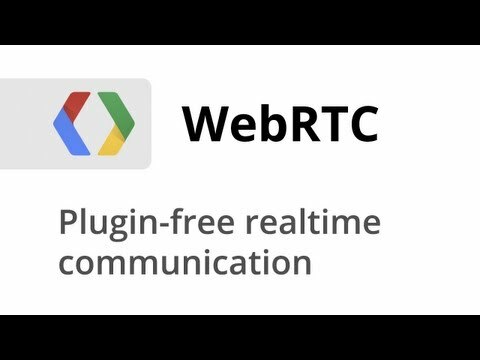 WebRTC implements open standards for realtime, plugin-free video, audio and data communication. The core WebRTC APIs getUserMedia, RTCPeerConnection and DataChannel have now been implemented across Chrome and Firefox. 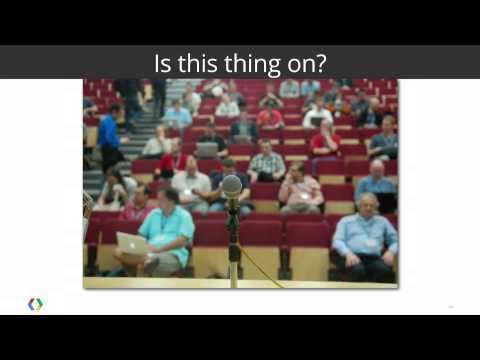 In this session, we show you how to get started with building a WebRTC app: What's a MediaStream (aka getUserMedia) and how can I use it? Resolution constraints. Signalling: what is it and how can I set it up? 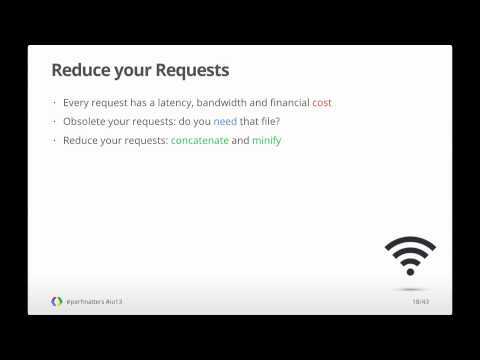 Servers: what do I need? RTCPeerConnection: WebRTCs most powerful API. 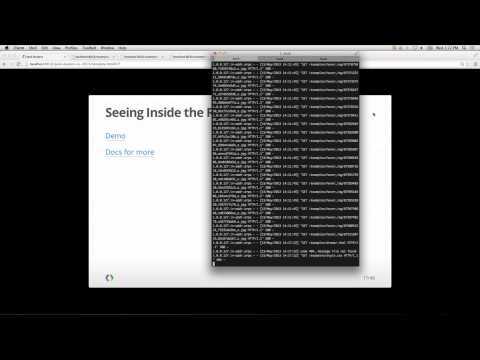 RTCDataChannel: realtime communication of arbitrary data. 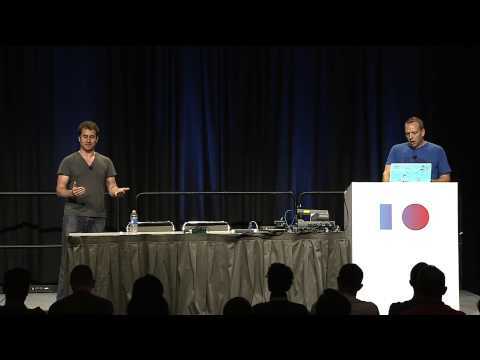 Integrating WebRTC with Web Audio. Interoperability. Security. During the session, we talk through code examples, live demos and production apps. 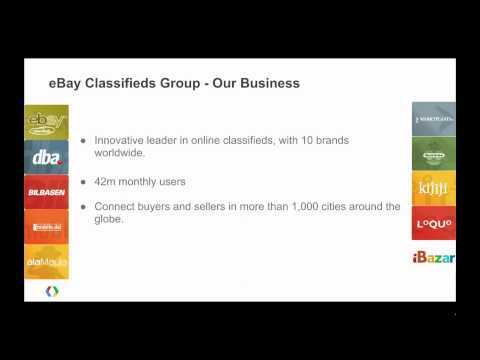 Interested in expanding your app to a global audience, but dont know where to start? 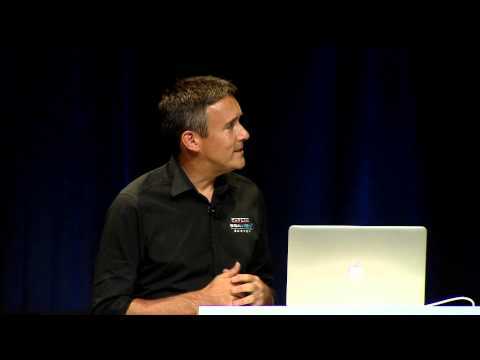 In this session, well show you how to prepare an app for global distribution. Come learn about best practices for internationalization, right-to-left language support, and various tools that can help you along the way. 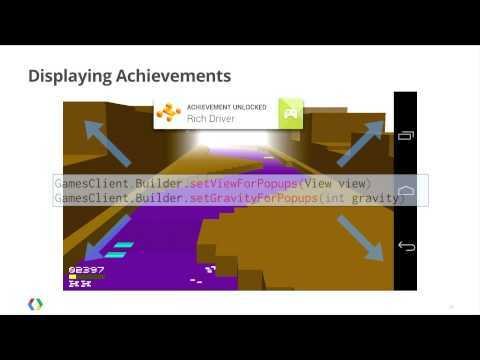 Practical tips for game developers from insiders within the Android team, including how to work with the developer dashboard from the beginning of development through multiple releases. 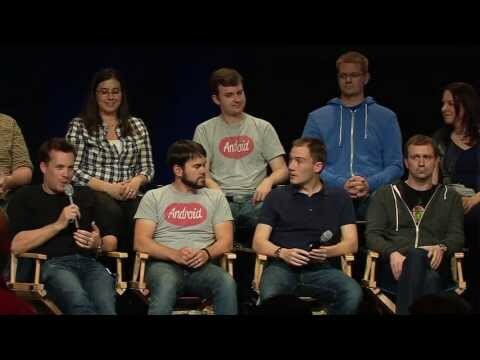 Pull up a chair and join the Android platform team for a fireside chat. It's your opportunity to ask us about the platform and learn a little bit more about why things work the way they do, from the people who built it. Moderated by Android Developer Advocate Reto Meier. 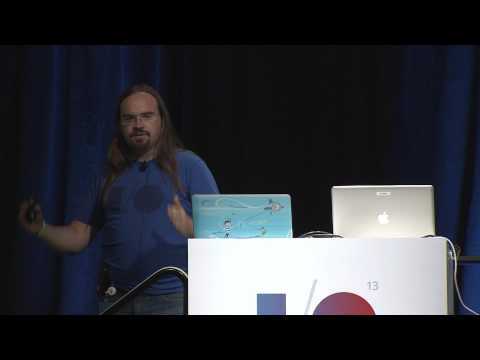 This talk will show various types of application animations and the code for how to achieve them. 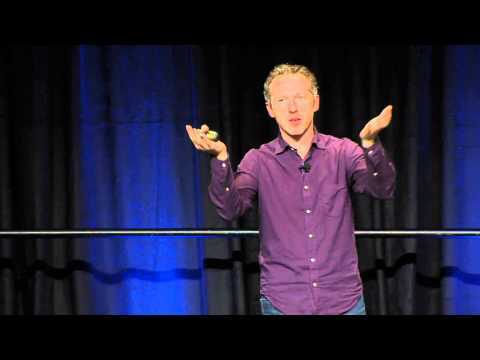 Developers should leave the presentation (not too quickly!) 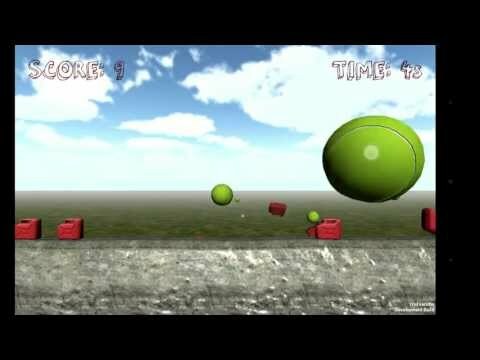 with more knowledge about how Android animations work, how to use the APIs effectively, and how to pull together various techniques to create more involved, more interesting and more compelling animations for their applications. For game developers who want to dive into more advanced scenarios. Learn about new ways to integrate with Google+, implement and manage game states in a safe way and creating cool game experiences through select Google REST APIs. We will also cover new NDK topics, as well as using 3rd-party game engines. 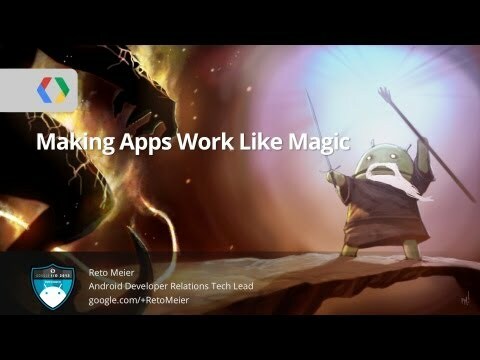 Learn how to use advanced Android techniques to build apps so good, people think they're magic. Featuring advanced coding tips and tricks, implementation patterns, and exposure to some of the lesser-known APIs, you'll gain insight into how to build context sensitive apps that delight your users without draining their battery. Publishing a new application on Google Play is just the beginning -- you work constantly to update your app, improve user reviews, see what users are doing with your app, expand into new markets, and build a revenue stream. Join the team who brought you the new Developer Console to learn how Google Play is bringing you more data to optimize your application, better tools to distribute your application, and new ways to understand and connect with your users along every step of the journey. Google Maps and the Maps API enjoy huge popularity around the world. The Google Maps API is the most used API on the web. maps.google.com is the most used mapping site. Android and iOS SDKs are branching Maps out into new platforms. 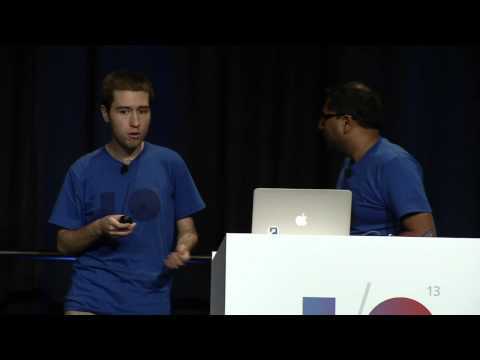 In this session, the Product Management Director of Google Maps teams with the Product Manager for the Google Maps API and the lead Developer Advocate to walk you into the future of Google Maps. In the Android UX team, it is critical to get user feedback frequently and consistently so that we are able to iterate and develop the best-in-class designs for our users. We will discuss how the team applied "Pulse Studies" (iterative research sessions) in order to put new ideas, designs, and concepts in front of users on a regular basis; it requires minimal advance planning, it can have an immediate product impact, and it can meet urgent needs. We will illustrate how we accomplished this collaborative process by presenting rich examples and case studies. We will also demonstrate usability study role playing in order to give you tips and tricks on how to adopt this process for anyone who is interested in getting user feedback in a quick and impactful way. 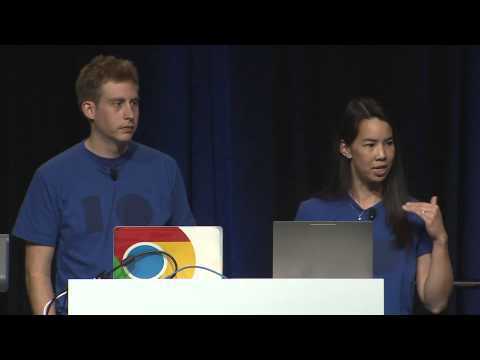 Chrome packaged apps expand the opportunities for Web developers, giving you the ability to run offline by default, to provide an immersive UX that runs outside the browser, to leverage Chrome's sync architecture, and to access the device hardware. 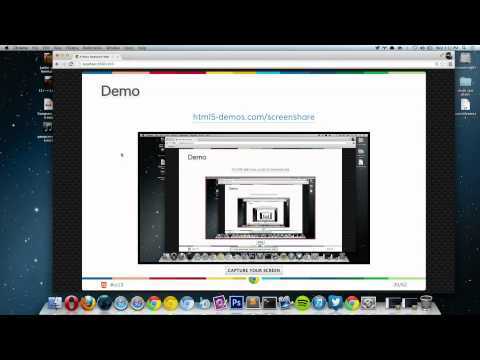 Come learn how to take your web app to the next level by turning it into a Chrome packaged app. In December, Google launched the Google Maps SDK for iOS. With vector maps that allow a much wider range of motion and access to Google Map data and imagery, the SDK provides a powerful way for you to build iOS apps on your platform. This session will explore different ways for you to integrate your data with a Google Maps experience. Video is predicted to comprise 71 percent of all mobile data traffic by 2016 (Source: Cisco). Yet, surprisingly few people understand the formats that majority of that data traffic will use. In this session you will learn the skills required to encode or decode video in your application, with a focus on the royalty-free WebM format. 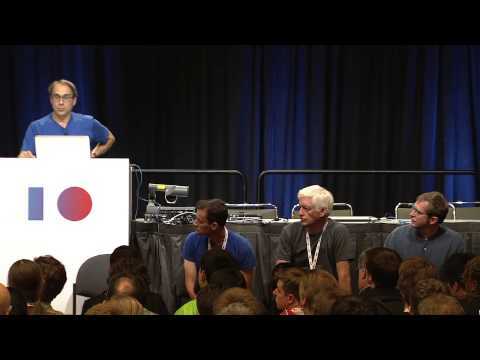 Meet the senior staff from the Web Platform team, the Front End/UI team, the Chrome Apps team, and the Chrome OS team. 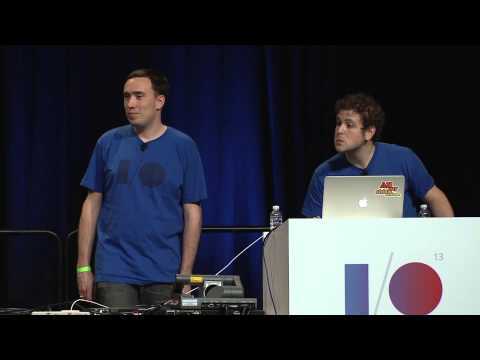 At this talk, you'll hear senior Chrome developers talk about future plans for Chrome and the web platform. You'll have the opportunity to ask them as many difficult questions as can fit in the time available! Location continues to play an increasingly important role in a variety of organizations, and the emergence of the cloud and mobile as reliable and scalable platforms has transformed how organizations use mapping technology to work more effectively, improve processes, and benefit customers. Learn about the different use cases that our enterprise products address and how organizations can easily integrate end-to-end mapping solutions to address a variety of needs. Location is a fundamental aspect of many location-based apps. But knowing where your user is located is only part of the story. Knowing where theyre going and where theyve been can fundamentally alter what you present to them. 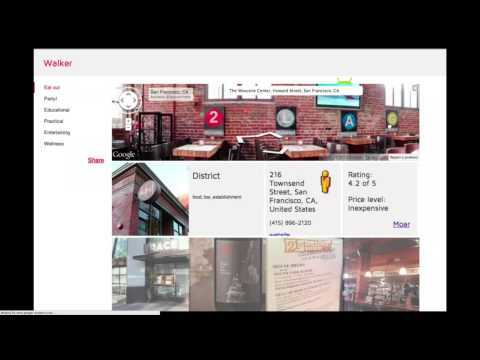 This session will explore using aspects of location to present a richer experience for users. Much if not most of the worlds data has a geographic component. 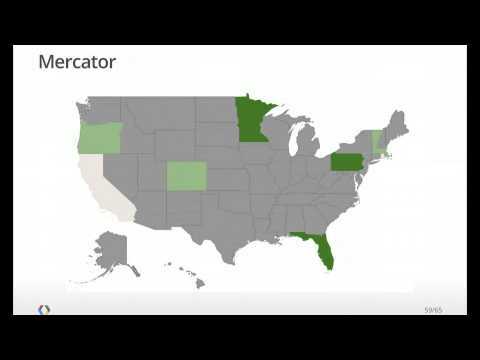 Data visualizations with a geographic component are some of the most popular on the web. This session will explore the principles of data visualization and how you can use HTML5 - particularly WebGL - to supplement Google Maps visualizations. Spatial data architectures are many and varied. There are simple solutions that host static data, and complex integrations with existing enterprise infrastructures, and everything inbetween. But common patterns - and antipatterns - emerge regarding how data is hosted and served to your users. This session will discuss those patterns and how you can implement them in your mapping architecture. Tens of thousands of ships report their position at least once every 5 minutes, 24 hours a day. Visualizing that quantity of data and serving it out to large numbers of people takes lots of power both in the browser and on the server. 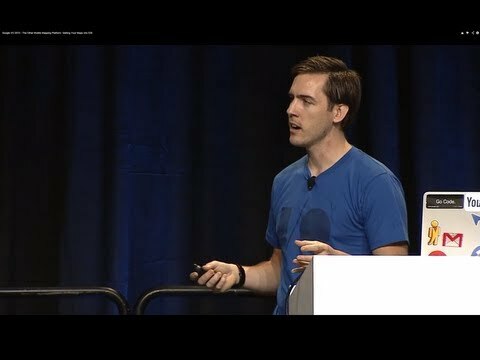 This session will explore the use of Maps, App Engine, Go, Compute Engine, BigQuery, Cloud Storage, and WebGL to do massive data visualization. 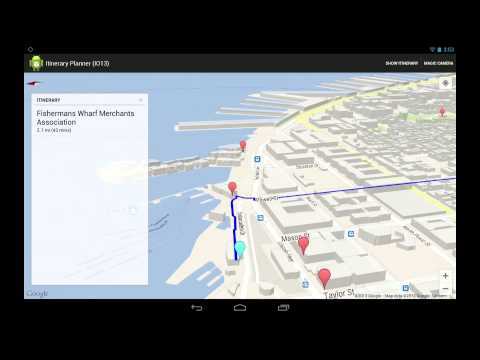 Google Maps Engine (GME) Portable enables organizations to cut their 2D and 3D data from GME for use offline. This capability extends the power of Google Maps and Google Earth into austere environments where network access may be limited or unavailable. Portable comes with a full suite of APIs that allow developers to embed Googles familiar mapping interfaces into their own offline applications. Portable is currently in use on the International Space Station, it has been aloft in aircraft, underwater in submarines, and used almost everywhere in between. We are excited to get Portable out to a wider developer audience, so talented engineers can create new and exciting offline implementations. Does your service send emails? During this session we will show you how to add structured data to your emails to enable actions directly from the inbox and increase user engagement. 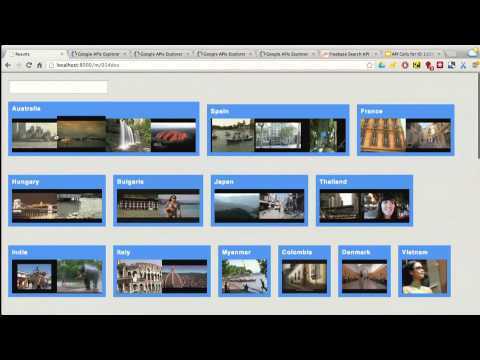 Ever wanted to add awesome realtime editing to your apps, just like Google Docs? The Drive Realtime API is here to help. 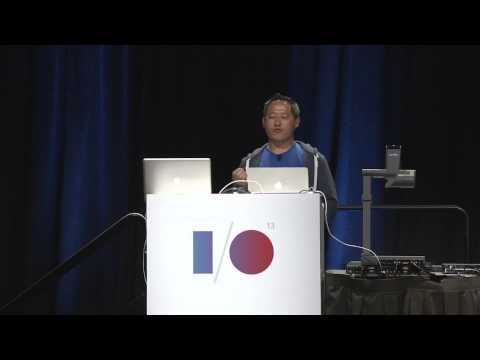 This in-depth talk will discuss the secrets behind Google collaboration, the technical details of the Realtime API, and how you can take advantage of it in your own apps. The updated version of Google Forms that launched earlier this year works with Apps Script, allowing you to create and manipulate forms with only a few lines of code. 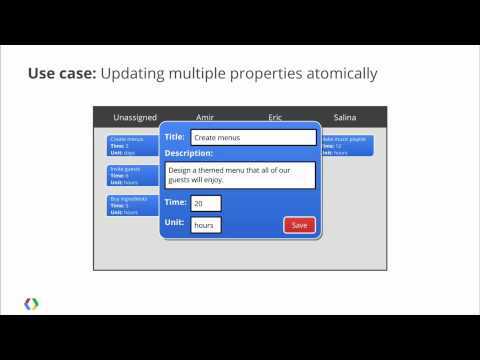 In this session, we'll explore ways to make forms and workflows more useful through scripts and demonstrate tricks that make forms react to changes in your organization. 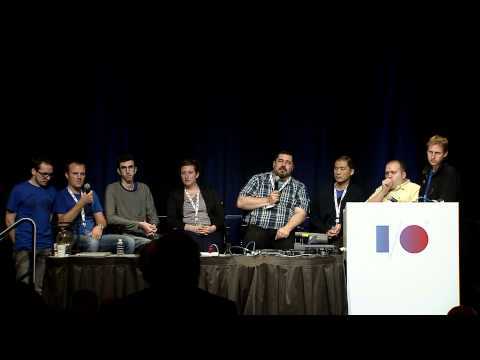 At Google I/O 2012, Google handed over control of GWT to the community through the GWT Steering Committee. Now, one year later, come see what the exciting future of GWT will look like, as the GWT Steering Committee presents its future roadmap for GWT. Happy birthday Chrome Packaged Apps! Come help us celebrate by learning what's new in the Packaged Apps platform and what's ahead on the roadmap. Building great, responsive mobile web applications means you have to be friends with the radio! We will cover how to build battery efficient mobile applications, how to get the best throughput, and how to plan for the various latency delays present in mobile networks. 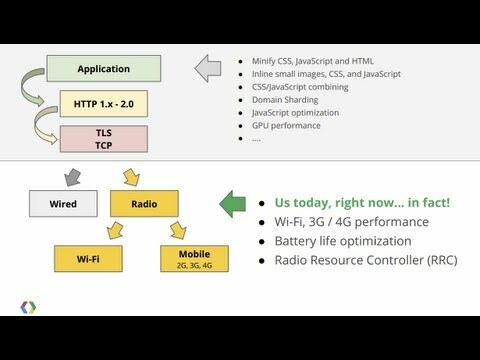 This talk is a radio crash course - aka, your HAM license for the mobile web - with a top-down overview of how a modern 4G carrier network works under the hood. Bring your propeller hat! 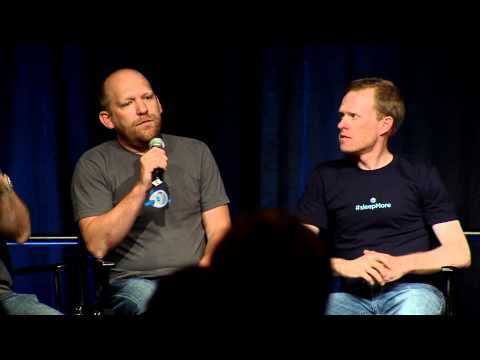 In this talk, we will discuss what we are doing for our enterprise admins and developers to provide them a much better way of building tools and applications. 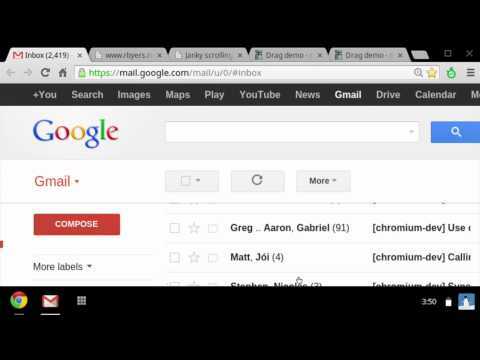 Using Google Apps Script it's now possible to add custom menus, popups, and other functionality to your Google Docs. In this session we'll explore the ways in which you can utilize this technology to build custom workflows, import data from other sources, and integrate your own applications in Google Docs. What is the user interface for your map? 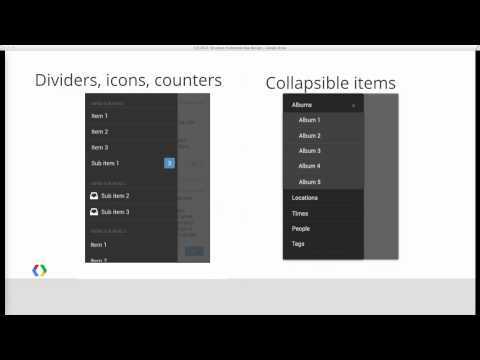 How do you put together a UI that allows easy access to your data? 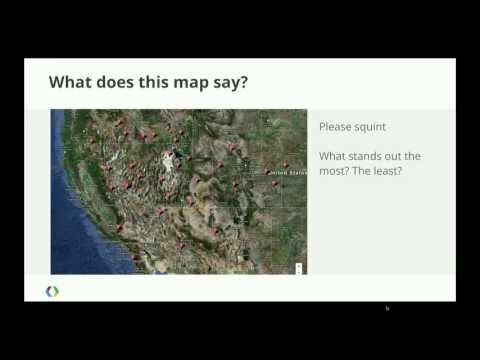 Does the design of your map help your users get the data they need? 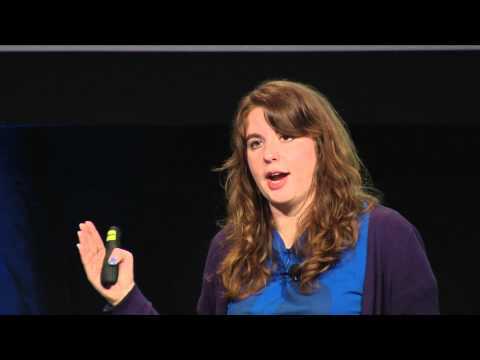 This talk will help developers bring together the elements of visual design, cartography, and user experience to help present their mapping data in the best way. 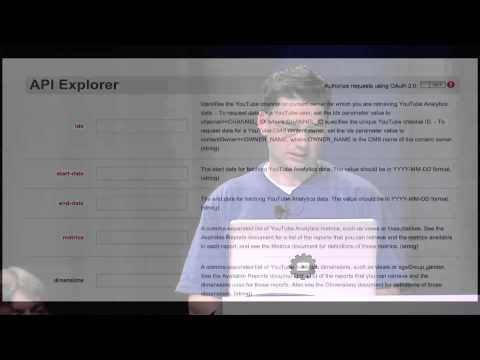 Tired of polling for updates to YouTube API feeds? Wouldn't it be nicer if the API could tell your application when new data were available? Come and hear about our new YouTube API push notification infrastructure, and find out how you can write code that responds to new YouTube activities. Adaptive streaming internet videos is hard, but it gets even harder when you try to do it at scale. We'll talk about the basics of quality of experience and discuss what we are doing to improve it at YouTube. This talk will discuss the latest features of the Drive SDK that have been developed as part of Googles commitment to allow 3rd parties to write Drive applications with the richness of Google Docs/Sheets/Presentations. These features make it easier to find files, receive notifications when files change, and publish websites. Mapping streets and buildings is the hard part. But the even harder part is mapping indoors. Not only is Google acquiring floor plans for major buildings and venues, but were also working out ways to provide positioning data inside those buildings. When GPS doesnt work, how do you find your place on the map? Ever had a question you wanted to ask the Google Maps Team? Heres your chance to ask leading engineers, product managers, and developer advocates the questions youve always wanted to ask. Google Drive aims to deliver your apps to Google Drive users where and when they need to find them inside Google Drive or on a mobile device. 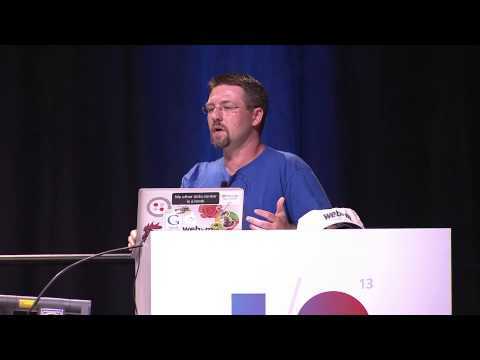 This talk will describe the compelling reasons why your app should integrate with Google Drive, and the ways in which your app can reach as many customers as possible. 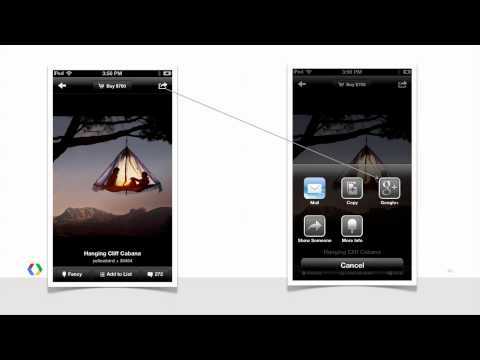 We will run through how your app will appear to users, and the technical details behind putting it there. 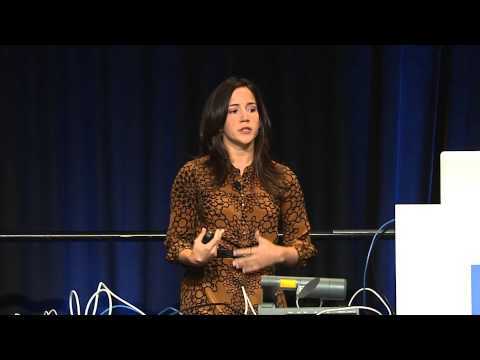 In this talk attendees will learn all about the new YouTube Analytics API. We will show the audience how to access the data via Google Apps Script, a cloud scripting platform. We will build and demo ad hoc reporting that extracts parametrized data via the YouTube Analytics API into Google Sheets. We'll also show how some of the reporting can be scheduled and alerts can be fired when thresholds are met. This talk will be of interest to YouTube publishers and also to developers looking to do more with Google Apps Scripts and Google Sheets. 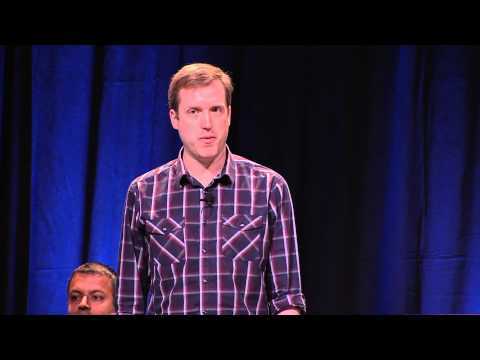 Leading gaming developers are integrating with YouTube to make their games go viral. You could be next. In this session will will show you how to take a Unity3D game and super-charge it with YouTube uploads, in-game YouTube playback and convert the YouTube users into players of your title. Google and Catlin Seaview Survey's Richard Vevers have partnered together to bring the first ever underwater street view imagery to Google Maps. 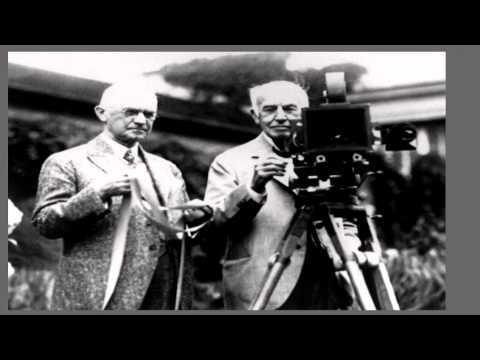 Learn how Catlin Seaview Survey has built a special camera to collect this spectacular surround imagery. Their goal in partnership with University of Queensland professor Dr. Ove Hoegh-Guldberg is to empower a global reef record to create a snapshot in time of the world's coral reef areas, starting with the Great Barrier Reef in Australia. Explore also Apo Island, Philippines, Molokini Atoll, Maui, Hanauma Bay, Hawaii and now for the first time the pristine Raja Ampat, Indonesia. They have built an impressive 3 million following on Google Plus enabling public engagement through underwater diver hangouts. 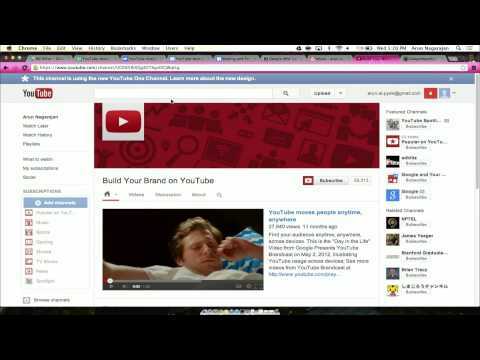 YouTube channels can help launch your business to success. Learn some tips and tricks on how your business can use the world's second largest search engine to help with maketing, product support, fundraising and customer acquisition. The session will share key insights on understanding YouTube's audience and learning how to use all of the site's tools to build a channel that sticks. 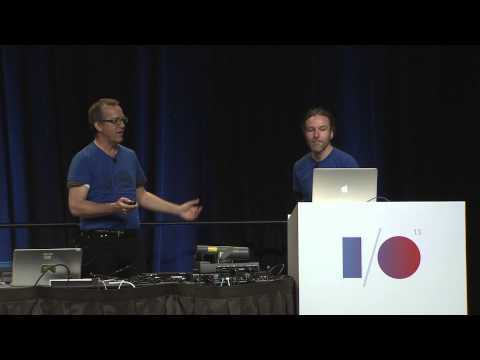 This session provides an overview of the new YouTube Live platform and offers an in-depth look at the YouTube Live Streaming APIs. Well explain how the platform lets you easily broadcast live events on YouTube while providing a great viewing experience for your audience. We'll also showcase several apps using the API, walk through code samples, and show a few cool demos, too! YouTube API is Google's largest API by request volume yet there are still a lot of apps that are not taking advantage of it. Join YouTube platform product and engineering leaders as they give you an overview of where YouTube is headed, give you a sneak peek at the latest YouTube APIs, and talk about opportunities for developers. We will also watch a few cool videos. One of the top barrier to mobile commerce is the ease of checkout. Whether you're selling office supplies, t-shirts, or fancy jewelry your users are faced with the same problem: providing credit card and shipping information via long complicated forms that are particularly painful to fill out on a mobile device. That's where the Google Wallet Android API comes in. Learn how you can use the API to make the shopping experience in your app simple and frictionless, and in turn drive up conversion and sales. Wallet Objects is a simple, powerful platform that makes commerce more efficient by digitizing and storing commercial objects (offers, loyalty cards) in Google Wallet and enabling stronger 3rd party issuer-consumer relationships. 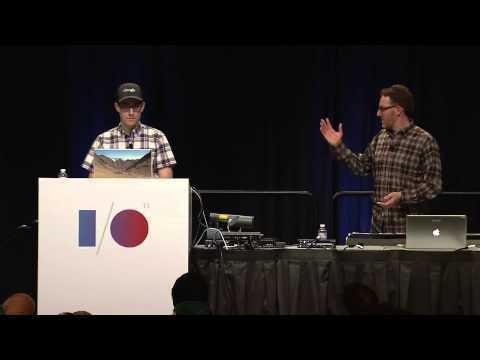 In this session, we will walk you through the spec and code to insert objects into Google Wallet, making a smarter wallet for consumers. 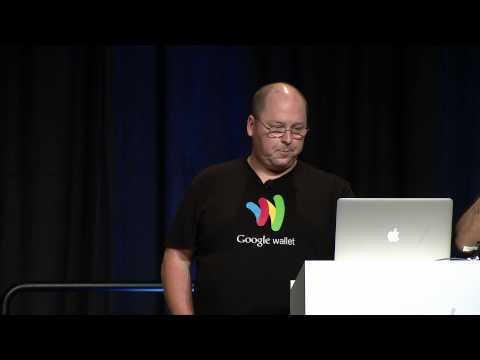 In this session, we will introduce you to the Wallet Objects Loyalty API. Learn how you can integrate your loyalty programs into Google Wallet and make it available to millions of users to discover. Drive engagement of your loyalty program by enabling users to use Google Wallet to show and use their loyalty card, check their loyalty/reward point balances and much more. Building a mobile commerce Android app isn't just a matter of putting pictures of your products in a ListView and adding a buy button. More so than any other type of mobile apps, time is money. The longer you make a user wait or the more time you make them spend filling out forms will decrease the chance of the user finishing their transaction. Plus whenever you're talking about accepting payments, you must think about security as well. 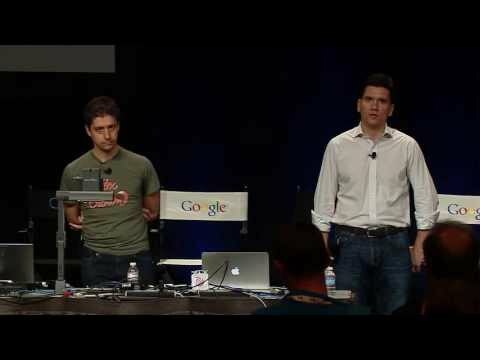 Learn some of the techniques and tips from the Google Wallet team and from one of our partner on how you can make your mobile commerce apps easier and more secure to use, and thus increase your conversions and ultimately your bottom line. 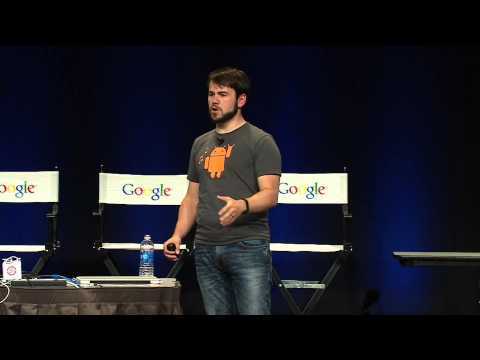 This session will include some intermediate/advanced Android development topics. 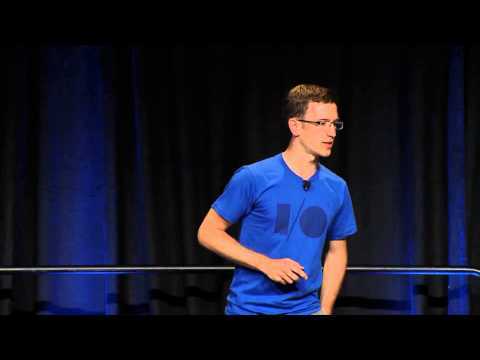 In 2009, Ray Ryan gave a talk at Google I/O advocating the Model-View-Presenter pattern and the EventBus for architecting GWT applications. Since then, MVP and the EventBus have become widespread in the GWT community and several frameworks have appeared to support them. However, there's still a lot of confusion over what MVP actually is and the best way to implement it. Many common solutions involve tedious amounts of boilerplate and overhead. 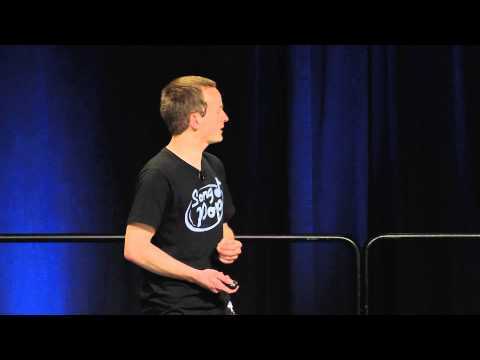 In this talk, I will demonstrate that using MVP and the EventBus correctly is easier than you probably think it is and can be done without any frameworks or extra overhead. 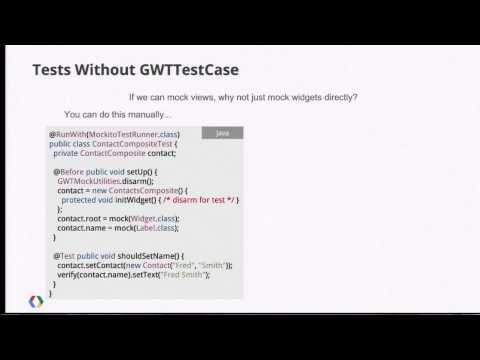 The end result is a more testable, maintainable GWT application that is a pleasure to work with. Whether you have a website, mobile app, game, or other online service, users can now sign in with Google and bring along their Google+ profile. 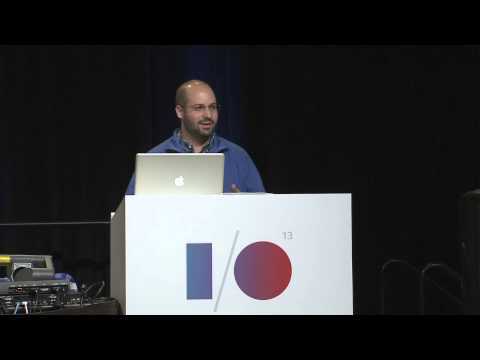 Come learn how Google+ Sign-In can create more engaging experiences in your app and drive more usage across devices. 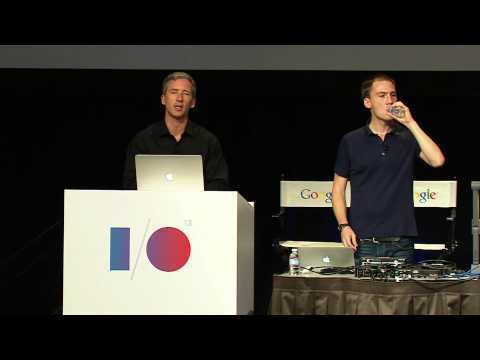 This talk will introduce the technical concepts of integrating Google+ Sign-In and other Google+ features, and is a pre-requisite for other Google+ talks. 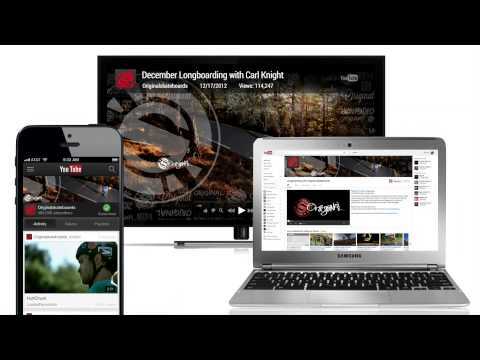 Join us for an overview of the whole Google+ platform. 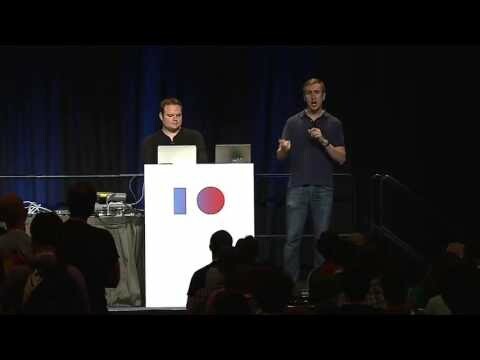 Learn what Google+ has to offer your applications, where the platform is headed, and determine your must see Google+ platform sessions at I/O this year. Google Apps is a cloud-based productivity suite that helps your team get work done from anywhere on any device. By adding the power of Google+ for business, your team can connect and share seamlessly with coworkers and external partners. In this session, we will review the unique features of Google+ for business, discuss new ways of integrating Google+ into your business systems and processes, and help you get the most out of Google+ to facilitate easy, quick and compelling communication across your organization. 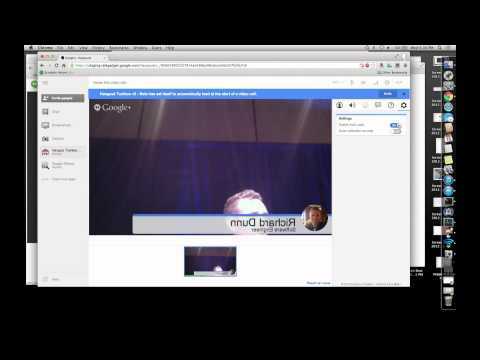 Got a burning question about the Google+ platform? Come meet the team and have your questions answered directly from the people behind the Google+ platform. Dig into the technology and have your voice heard. RenderScript is an API for high-performance computation on Android using whatever processors are available on a device, including CPUs, GPUs, DSPs, and more. This talk will cover how to develop applications with RenderScript that are capable of running on any device running Gingerbread or greater. We will walk you through accelerating a simple application and show how we can provide high performance on different architectures with a single source base. Benchmarks comparing RS to the NDK will be presented. 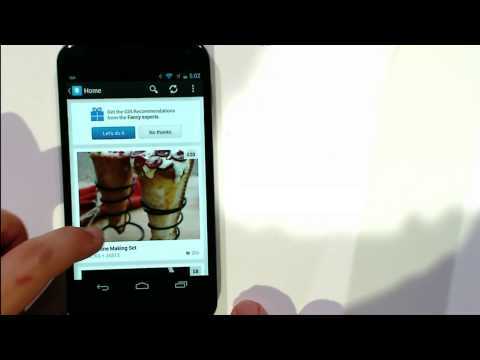 The Hangout Apps platform has evolved steadily over the last year. Hear how far we've come, learn how you can make your apps come alive with audio/video conversations & see what's up next for the technology. You are a developer making a hot social app. Your Android app, iOS app, and website all need to seamlessly work with an authenticated user. This session will deep dive into Google+ Sign-In auth models, and help you choose the right one for your needs. 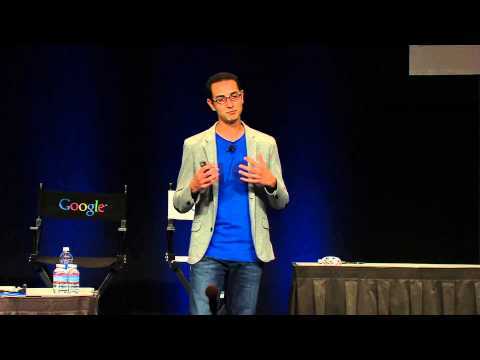 Learn how to derive the most benefit for your site and your users from Google+ Sign-In. Hear how to maximize installs of your apps, optimize click-through-rates for interactive posts, deliver customized content based on social data, and write app activities that get noticed on Google. 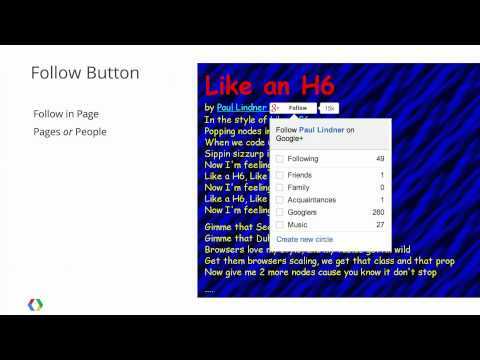 Learn how to add Google+ Sign-In to your web based app, how to connect user's to their friends, create customized experiences with Google+ profile data, drive more engagement using interactive posts, and monitor your app's performance on Google+. Whether youre building a game, a mobile app, or a social analytics service, your information needs to be highly available, stored safely, and able to grow as your user base explodes. Come to this session to learn how modern distributed databases address these needs. 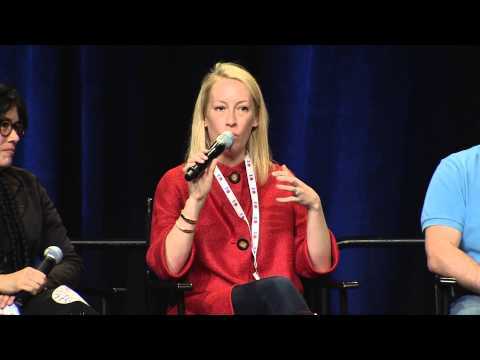 Youll hear from a panel of four industry experts about their solutions for tackling this problem using Googles infrastructure and have the opportunity to ask the panel questions about their experiences. Google+ offers a suite of tools for publishers that help users share and discover content on their site, both on the site itself and when coming from Google properties like Google Search. In this session, we'll cover all the basics of the Google+ tools that can help drive discovery and engagement on your website. See examples of how to maximize your social graph utilization and return from a Google+ integration, using launched applications as a reference. See how partners in certain situations integrate Google+ to improve the success of their apps, and make them more socially relevant to users. Learn how Google+ Sign-In can co-exist with alternative social login solutions and how to migrate your apps from legacy Google authentication systems. If you already have social login on your site and are wondering how to add Google+ Sign-In, or are currently using an older OAuth 2.0 Google auth integration, this session is for you. Let us walk you through how to add Google+ Sign-In to your iOS app, connect user's to their friends, drive more engagement using interactive posts, and monitor your app's performance on Google+. By bringing technology closer, we can get it out of the way. This and other core concepts, design guidelines, UX paradigms, and APIs will be introduced as a baseline for Glass Development. Excellent examples will be shown and used to codify everything into a set of best practices. 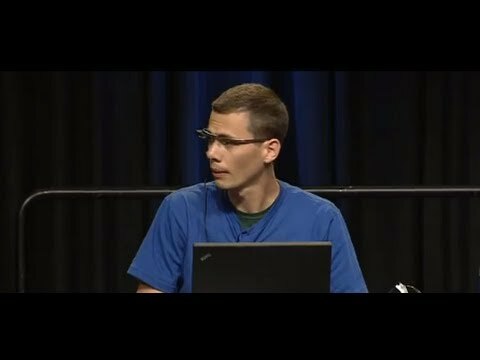 If you want to develop for Glass, this is where you start! This session is a prerequisite for all Glass development sessions. 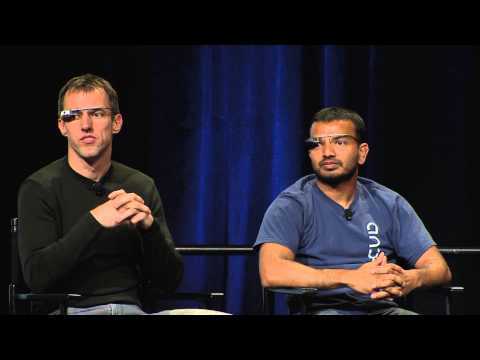 Join several key members of the Glass team as they discuss the path that brought them here. 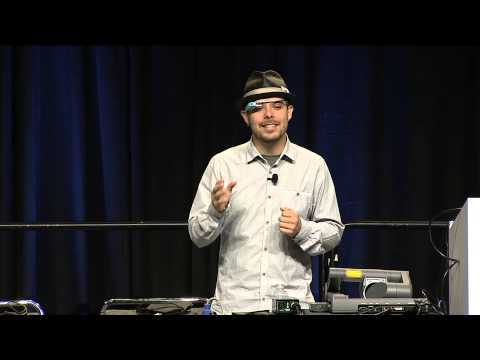 We'll discuss why Glass is so important to the evolution of wearable technology and how developers can most effectively engage in the ecosystem. Glass is ready for hacking! 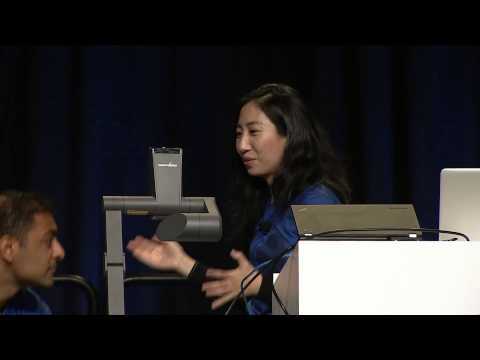 See what is possible with the hardware platform and how you can gain root access. 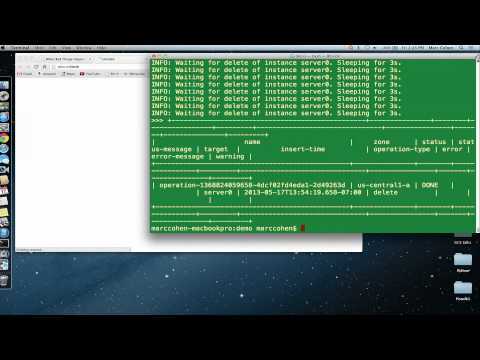 Learn how to run your own experimental applications. Disclaimer: you'll be stepping into uncharted and unsupported territory! 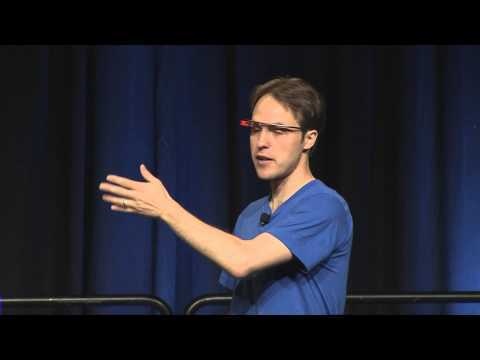 The Google Mirror API is a simple but powerful set of RESTful APIs for building Glassware. In this session we'll review some first principles for Glass development, paradigms of the Google Mirror API, and the rapid track from concept to prototype. We will cover both standard use cases and ones that push the boundaries of the API. Ever want to make a small tweak to your mobile application but your users have already downloaded your app? Ever forget to add analytics on a key event until it's too late? 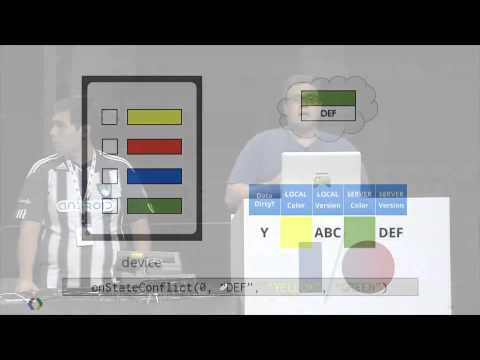 Learn about new ways to dynamically configure your mobile applications server-side. You can hone your app for various audiences, and you'll never get caught by old versions or forgetfulness again. 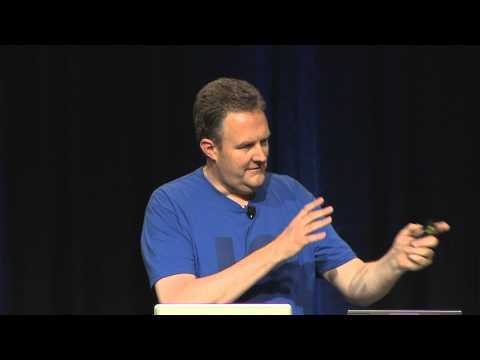 Concurrency is the key to designing high performance network services. 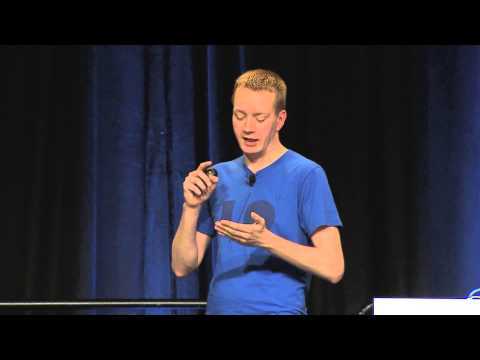 This talk expands on last year's popular Go Concurrency Patterns talk to dive deeper into Go's concurrency primitives, and see how tricky concurrency problems can be solved gracefully with simple Go code. Youve spent many long hours working on your app, but how do you turn those long days and nights into many users and plentiful revenue? Find out whats new with AdMob, and how it can be your partner in building a great app business. Since its release in November 2009, The Go Programming Language has grown into a thriving open source project with a dedicated following. 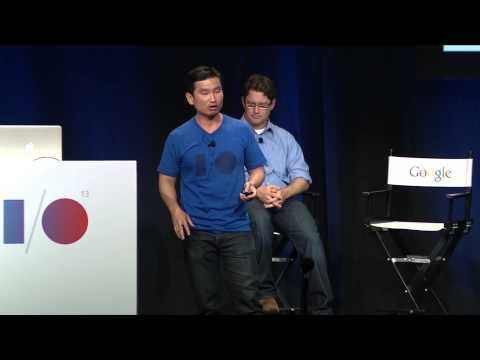 Join us in this session and have your Go questions answered by members of the Go team at Google. 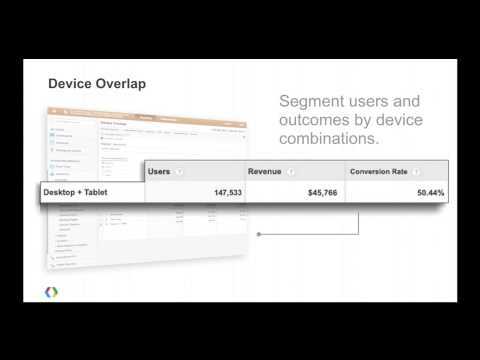 Google Analytics recently launched Universal Analytics, a new way to measure user interactions across any device / platform / environment. 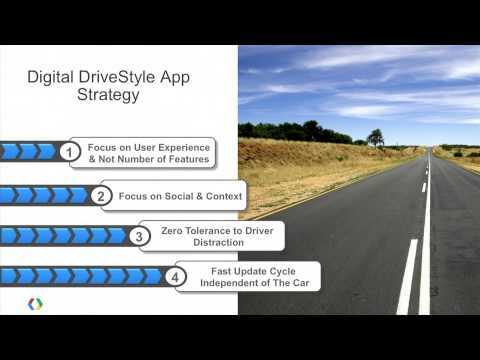 By measuring this data, developers can better optimize their applications. In this session we'll discuss how how to measure user-interaction from any device as well as demo new reports and best practices to optimize both web and mobile apps. Highly scalable and rapid data collection and analysis is a key need for many mobile and gaming apps, as well as for sensor networks and the "Internet of Things." We'll show how the Data Sensing Lab incorporates a key Google Cloud Platform pattern: a high-throughput pipeline for data collection, processing, and analysis. We use the Cloud Endpoints API to collect constantly streaming data; process large amounts of data with high throughput using App Engine, Cloud Storage, and data transformation on Compute Engine; and query many GBs of collected data in just a few seconds using BigQuery. Google Analytics and AdSense are two Google products that will soon be able to deliver their reporting data into BigQuery, Google's big data query and analysis engine. 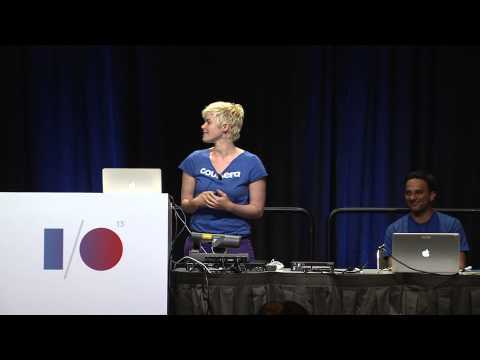 In this session, see how Google Analytics Premium and AdSense users are able to conduct advanced data analysis using BigQuery. 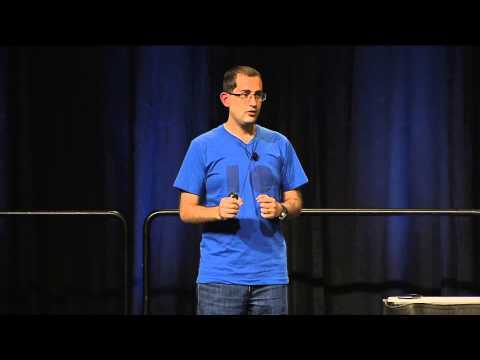 Googles cloud platform, including Google Compute Engine, App Engine, Cloud Storage and BigQuery are effective tools for developers to overcome challenging engineering requirements at scale. 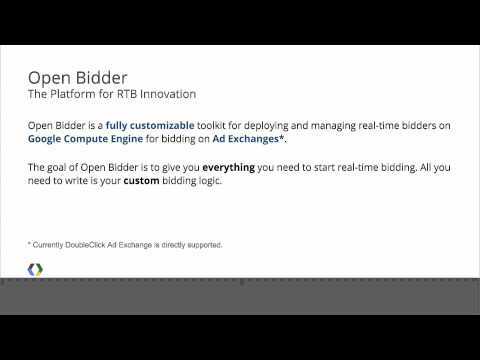 In this talk we present the Open Bidder, a fully customizable toolkit that leverages these services to meet the high request rate and low latency constraints third-party developers face when integrating with Googles DoubleClick Ad Exchange. 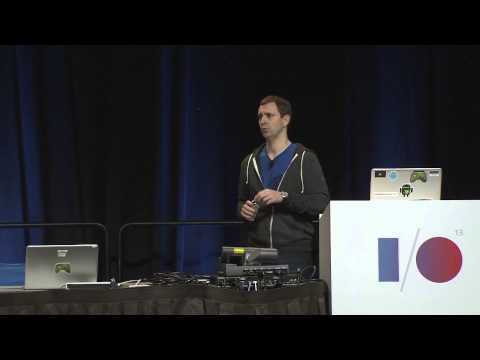 This session introduces a new and highly-requested language for Google App Engine. The new runtime allows developers to take advantage of App Engines powerful scaling, services, durability, and ease of use, while leveraging familiar and powerful frameworks to build applications. 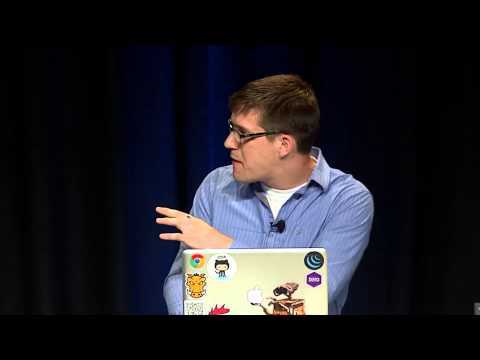 In this session we'll give an overview of this new runtime, and show how easy it is to move existing applications to use App Engine and the Google Cloud Platform. Ready to rock the world with your next application? Odds are you are thinking about mobile, web and the cloud. 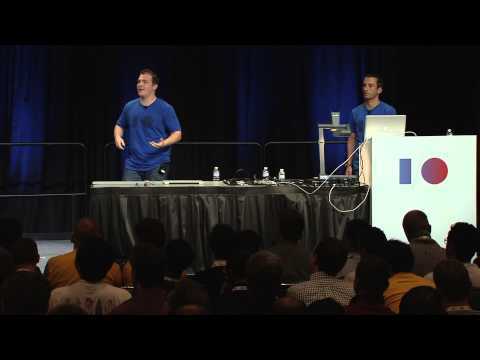 In this session we will walk through building a modern mobile web application that takes advantage of the Google Cloud Platform. 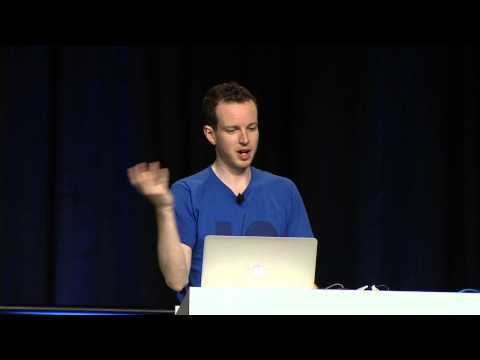 Learn trips, best practices and solid architecture that will make your next mobile web app an amazing success. 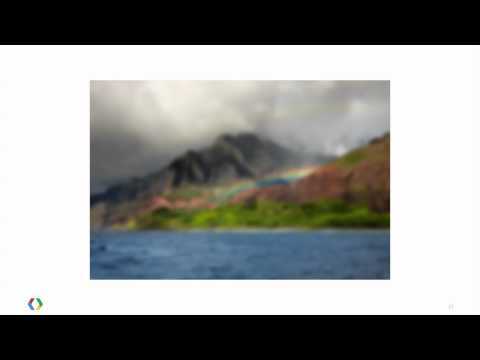 Shutterfly is the market leader in digital personalized photo products and services and helps customers turn their precious memories into lasting keepsakes. Being able to analyze user data quickly is important for optimizing their customer and product marketing strategies. 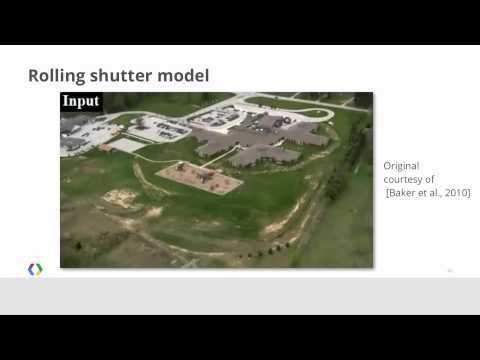 Learn how Shutterflys analytics and DW teams are integrating Google BigQuery into their workflows, using features like Big Join and Large Group Aggregations to mine terabytes of data, and rapidly identifying customer usage patterns and effective outreach campaigns - without massive hardware and software investments. Google Compute Engine's had a very busy year! We've made improvements to the underlying architecture to provide even better performance, released new versions of our APIs that improve the developer experience, and introduced many new features and instance types. Come join us as we guide you through what's new and cool with Google Compute Engine, and how recent improvements can help you build more efficient, scalable and cost-effective applications in the cloud. 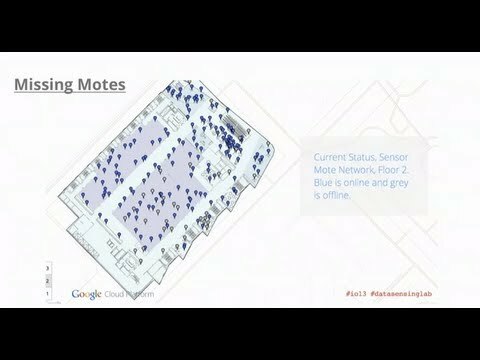 Come learn about an exciting new networking feature for Google Compute Engine that enables you to specifically control how traffic is routed throughout your virtual network. From indie to AAA game studios, learn how cutting edge developers are building next generation experiences on the Google Cloud Platform. 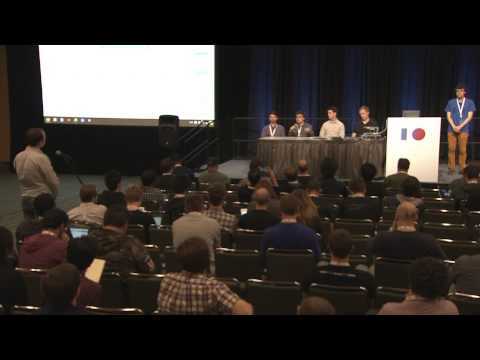 This session focuses on how developers are combining technologies such as App Engine, Compute Engine, and BigQuery to quickly build and scale their multi-platform releases. Learn tools and techniques to help you build rock solid, scalable, high performance, virtual computing clusters on Google Compute Engine. 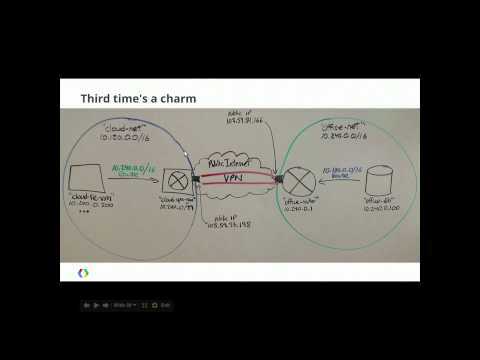 Topics we'll cover: Summary of advanced tools (startup scripts, metadata server, service accounts, load balancing), Building and managing clusters, Storage options and tradeoffs (scratch disk vs. persistent disk vs. cloud storage, snapshots, hot swap PD), and Dealing with outages (planned and unplanned). We'll conclude with a guided tour of a robust web service along with summary of best practices. This session will provide a clear, step-by-step approach to accessing Google Cloud Platform resources using OAuth 2.0. We will define the most important use cases and show how to build those solutions using practical code examples. The goal is to help you solve your authorization problems correctly and easily, without having to become an OAuth expert. Senior Vice President Urs Hlzle will share Googles vision for the next generation of cloud computing. 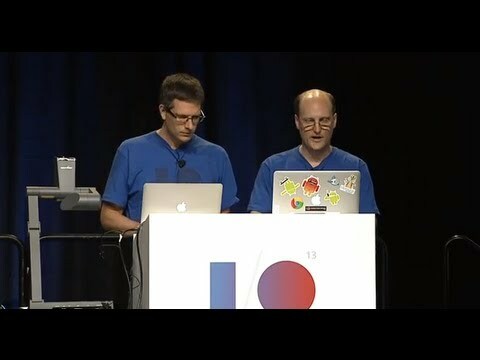 Hell discuss how investments in infrastructure, software and people will help usher in this new era for Google and developers around the world via the Google Cloud Platform. This session will also include announcements and demo important new features of the Platform. 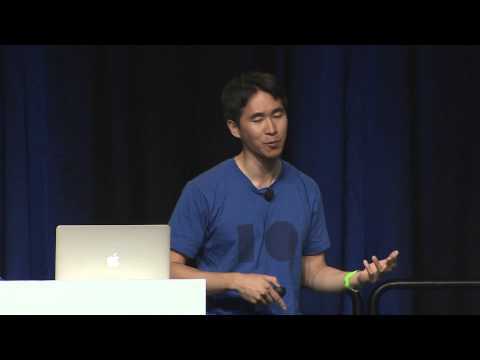 Understand how to build Java applications that work well in an autoscaling environment. We'll discuss common anti-patterns in Java that make it difficult for autoscaling environments to deal with your application. We'll also discuss how App Engine knows when to scale up and back your application and how to take full advantage of this. 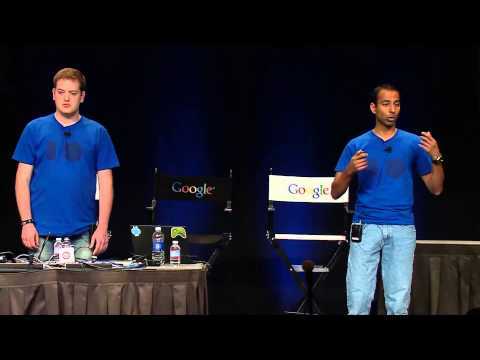 The Google Developers website, aka developers.google.com, is one of thousands of Google applications that run on App Engine. 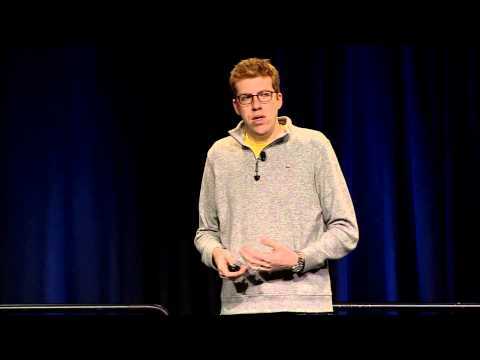 In this talk, we walk through the real-world use cases and design patterns that drive the site's content management system, and discuss implementation techniques that have worked, and a few that haven't. As a bonus, we'll consider several of the newest App Engine features in the context of this app, and how they change the way we think about application architecture. 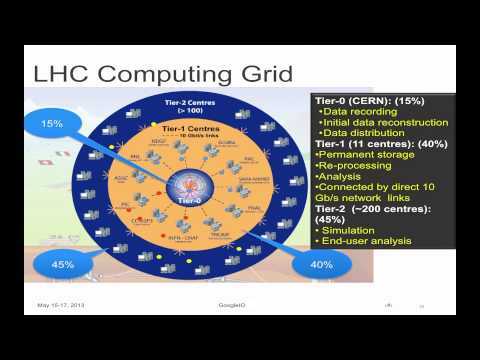 In this talk we will describe the ATLAS Experiment on Google Compute Engine (GCE) scientific computing project and illustrate several examples of large-scale high performance computing installations on GCE, including a 1000-core PROOF cluster for ATLAS data analysis and a 4000-core HTCondor cluster used for simulation of LHC collision events. We will also discuss Xroot technology used for high-performance data clustering. Well look at how the Gamesys social MMORPG Here Be Monsters utliizes the Google Cloud Platform as a production data warehouse for managing user engagement and automating retention activities using App Engine. 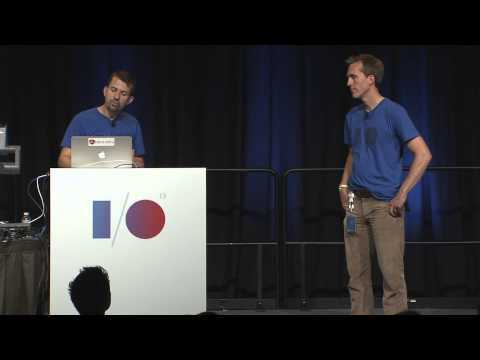 Well demo the games integration with Google Spreadsheets and BigQuery via Google Apps Script and dive into the code that enables automated reporting dashboards and ad hoc game optimization. This session will review multiple approaches customers take when importing their large data sets into Google Cloud Storage, including trade-offs in time, cost, and complexity. These solutions include several advanced techniques which will also help you in a wide range of other situations. We'll show the architecture and code for some of these approaches and feature a case study of a 5 PB+ migration. 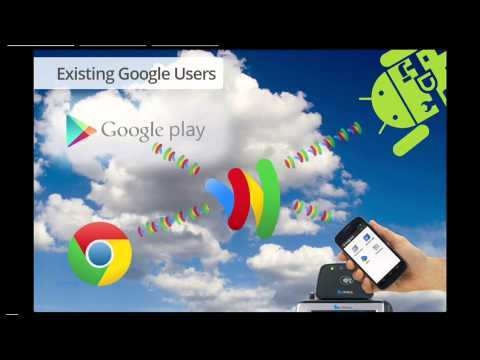 The best Android applications take full advantage of the cloud to power great user experiences. 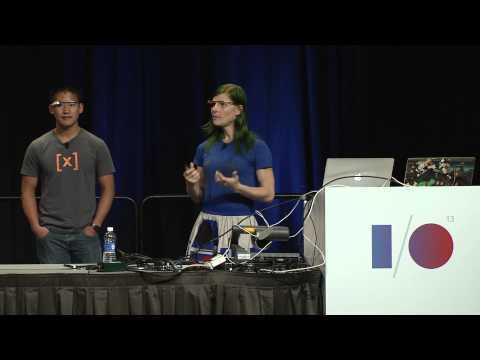 This talk shows, in detail, how to use the server-code optional backend on the Google Cloud Platform to store application and game state in the cloud. We will then walk through adding your own custom logic via Google Cloud Endpoints and the Google Plugin for Eclipse. 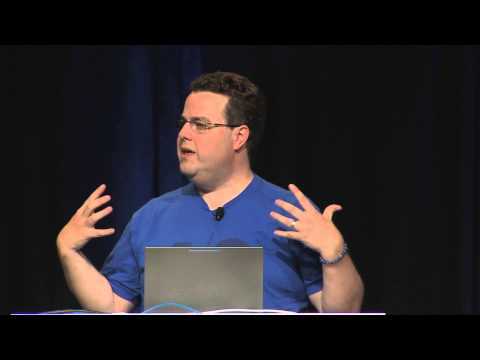 For a more in depth look at the session content, read Brad Abram's writeup "Google I/O 2013 Session Overview: From Nothing to Nirvana in Minutes: Cloud Backend for your Android Application Building Geek Serendipity" (http://bradabrams.com/2013/05/google-io-2013-session-overview-from-nothing-to-nirvana-in-minutes-cloud-backend-for-your-android-application-building-geek-serendipity/). The Go runtime for App Engine is a high performance engine for running web applications. It produces fast responses, starts instances in a fraction of a second, makes the most use of instance hours, and allows your app to do serious processing at full machine speed. Come along to hear how to fully exploit the power of Go on App Engine and make your web applications the best they can be. Is longform content the way to go or do short clips still reign supreme on YouTube? Are you hot in South Korea? 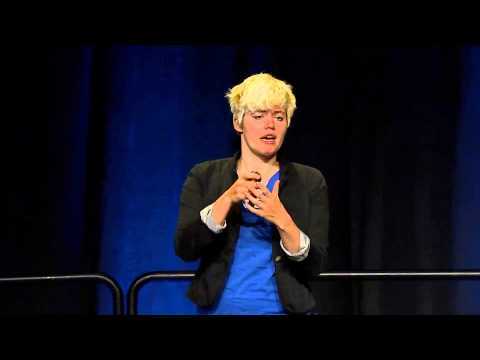 Do video annotations engage or irritate your audiences? The YouTube Analytics API can answer all these questions and more. 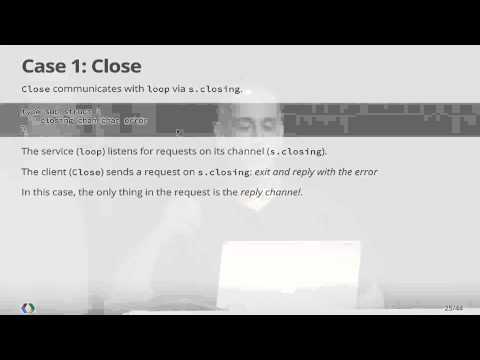 Learn about advanced features of the API. Discover how Next Big Sound uses the YouTube API to help record labels, artists, and band managers make better decisions. Design is different from art. In fact, if you had to use math to validate it, then you are probably on the right track. In this product design-focused session, we will discuss what it means to be a designer at YouTube. We will cover the state and meaning of the multi-device world we live in. Finally, we will share a few best principles for both design and corresponding quantitative analysis in this new world. The performance, reliability and consistency of Persistent Disk (PD) are part of what distinguishes GCE as a next generation cloud service. Discover some of the internals of PD and what distinguishes it from comparable offerings. This session will include a technical deep dive into best practices for using PD with your GCE apps. Almost every new mobile device today ships with a high DPI screen. That trend has started branching out to laptops, and its only a matter of time until every device we use is high DPI. 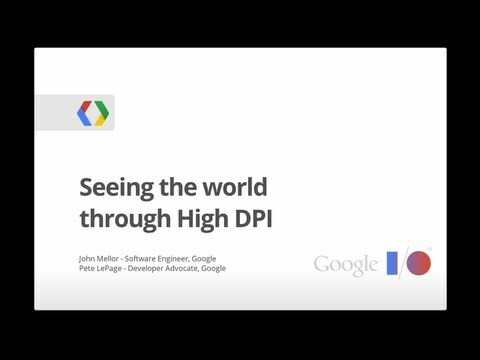 In this talk well dive into what high DPI means and how you can optimize your sites so they look great in any form factor. Youll learn 1) how different pixels affect layout and how to achieve the layout you want, 2) how layouts are affected by different display densities, and 3) how different image formats can be used to provide the best experience for users ensuring that your site looks great on any device. 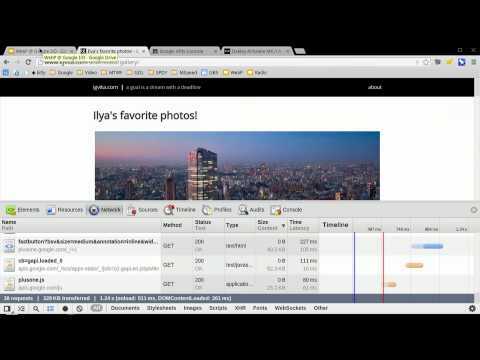 Youll walk away knowing how to use responsive techniques to build sites that shine, and also how you can quickly update your existing sites to look beautiful, both today and in the future. Freebase is the open core of Google's Knowledge Graph. The Freebase APIs help developers enhance their applications so they better understand the people, places and things users care about. We'll dig into code samples and show how to enhance your application with Knowledge Graph data. 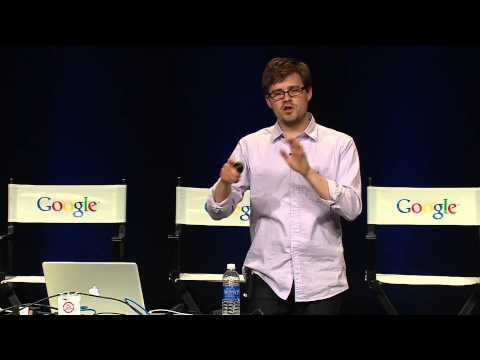 At Google, we're making more and more use of structured data to help users find your content. In addition to a variety of rich snippets that enhance search results, we're now showing event calendars for cities and venues, reviews for movies in the Knowledge Graph, ingredient filters for recipes, and more. How do you ensure your site is participating in features like these? We'll answer that question by demoing a suite of new and updated tools including Data Highlighter and the Structured Data Dashboard that make providing and validating your sites structured data easier than ever. While the web began with free-text documents, most of it is now backed by structured databases. However, too often the structure from these databases is lost on the way to HTML. It doesn't have to be that way. We'll cover what new features can be powered by this structured data as well as tools & techniques for making sure this useful structure is not lost on your site. Structured data is everywhere. Along with marking up your website, you can now mark up information you email your users. By doing so, you can help your users get that information faster on Google -- for example, as highly-structured answers and cards for flight itineraries, upcoming events, restaurant reservations, etc. 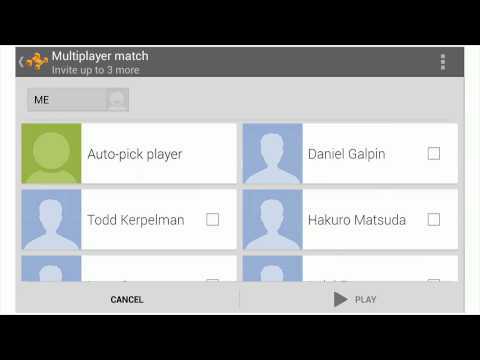 Come check out a preview of the upcoming features in action. 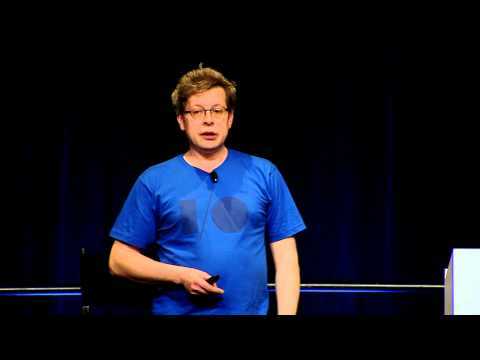 Ignite captures the best of geek culture in a series of five-minute speed presentations. Each speaker gets 20 slides that auto-advance after 15 seconds. 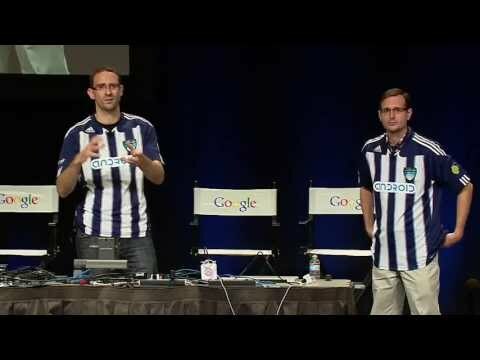 In this session we'll walk you through a series of techniques you can use to make your app and content shine on Google. Using these techniques you can connect more directly with new and existing users on Google Search. So you built an app, site, game, or online service, but have no idea how to connect with users to grow your business? Join us for a discussion on how Google+ helps you grow and engage your audience. Take away tips on how to use Google+ to create value for your business by getting found across Google, getting recommended to other Google users, and creating more personal engagement. PCs, laptops, tablets, smartphones, hybrids, televisions and more: touch-AND-mouse-enabled devices are coming. Come to this talk to learn how to make your site awesome on the growing number of touchscreen devices and to see what the future of the web holds for touch-based computing. 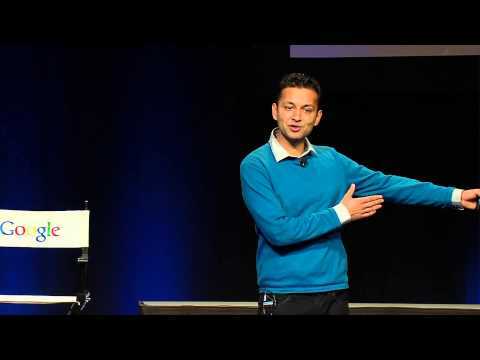 You will learn how to future-proof your website for touchscreen laptops, how to build a buttery smooth touch experience, and, most importantly, how to create code that is responsive to multi-modal input. 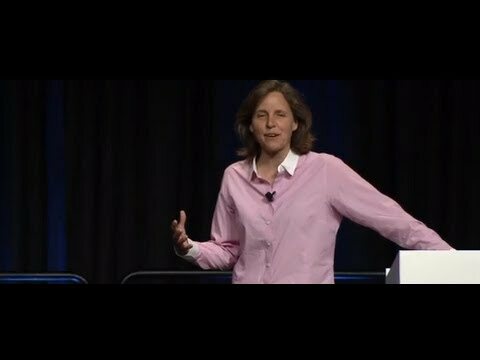 Megan Smith (VP, Google[x]) will emcee a series of TED talk style segments from Susan Wojcicki (SVP, Ads & Commerce), Anna Patterson (VP, Knowledge), Johanna Wright (VP, Search and Assist, Android), Kathy Kleiman (Founder of the ENIAC Programmers Project), Jean Wang (Hardware Lead, Glass), and Diane Greene (Board of Directors, Google). Theyll share their insights, learnings, and ah ha! 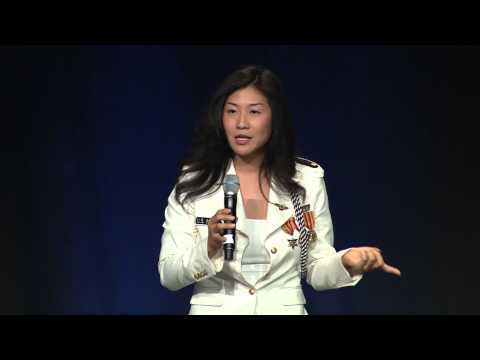 moments from being technical leaders inside innovative companies. This will be a special supersized session that runs until 6:35pm! Presented by Women Techmakers. 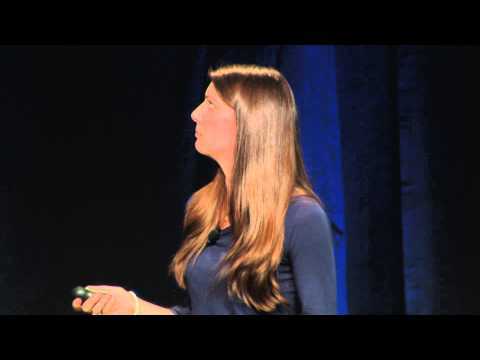 Come learn about how Google+ is helping Online learning platforms help connect students to each other and to professors. 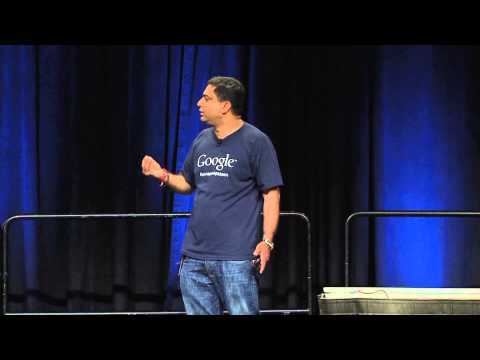 This talk will give an overview of the Google+ technologies that can be used in online education and also look at various examples of where this has been integrated successfully. You will also hear from Coursera, one of the leading Online Learning platforms and their experience with Google+ Hangouts. Ingress is a massively multiplayer geo game that was recently launched by Google's Niantic Labs. 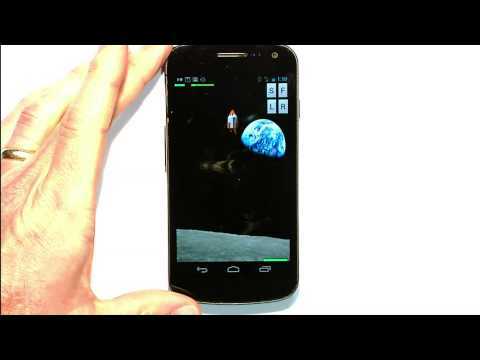 Players move through the real world using an Android device and the Ingress app to discover and tap sources of a mysterious energy. Players acquire objects to aid in their quest, deploy tech to capture territory, and ally with other field agents to advance the cause of the Enlightened or the Resistance in an epic struggle for the fate of humanity. 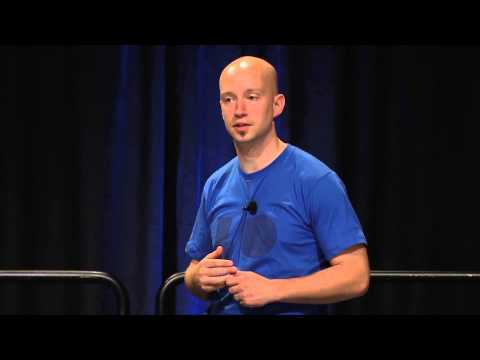 Brandon Badger, is the Product Manager for Ingress. 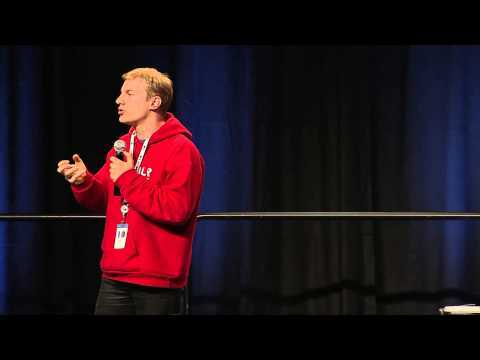 He's been a Product Manager on Google Maps, Google Books, YouTube, and Niantic Labs. 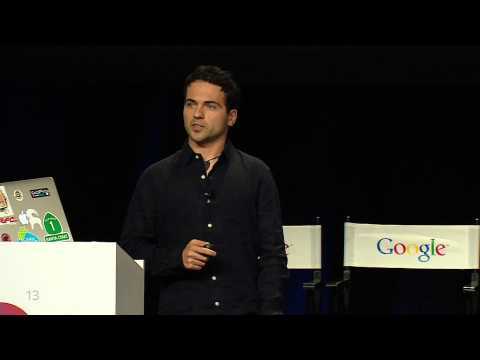 He'll be talking about Google's latest efforts to create "adventures on foot" using Android and Google's Geo data. 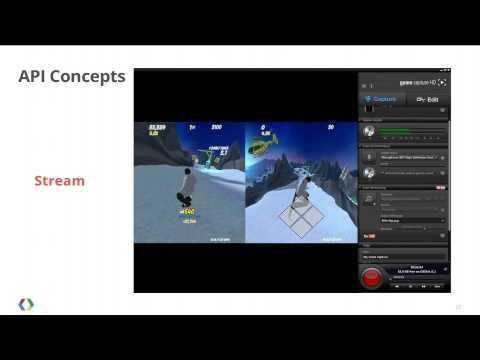 The discussion will focus on the the game design principles and techniques used to create Ingress, as well as opportunities to use emerging technologies to create new types of mobile gaming experiences. Last summer, 155K Google users came together in a virtual classroom by signing up for our experimental "Power Searching with Google" MOOC (massive open online course). Twenty-thousand of those students graduated. Two months later, we launched an open source project called Course Builder--based on the original Power Searching MOOC code--to make the technology powering the class available to everyone. This session is a case study of how Course Builder evolved from Power Searching with Google MOOC to an online course delivery platform. We'll focus on how Google's APIs and technologies facilitated the development of the initial system and continue to support the open source platform. Identity is hard, but the penalties for getting it wrong are severe. Good news: technologies are surfacing that reduce developer pain while improving user experience. 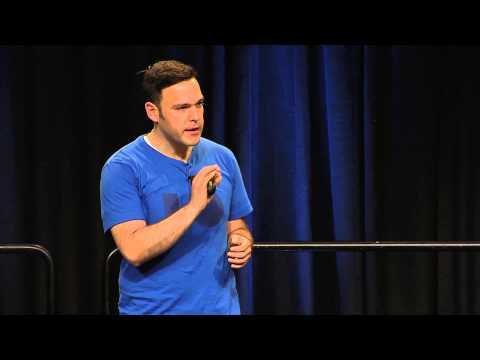 This talk highlights them and introduces a framework, starting from your unique combination of constraints, users, and platforms, to help you figure out which technologies and policies will work for you. 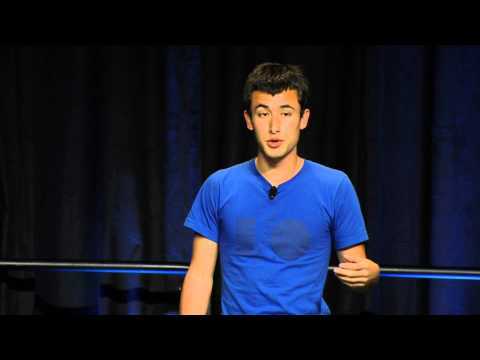 In 2008, Google began project Ground Truth. Its goal was to map the world from authoritative data sources, via a unique mix of algorithms and elbow grease. To date, the project has created and launched high-quality map data of 42 countries in Google Maps. In this session, you'll get a behind-the-scenes look at the inner workings of Ground Truth. Come see how we combine a mix of advanced algorithms, supplemental data (such as aerial and Street View imagery), as well as raw human labor to create and maintain map data that corresponds as closely as possible to real-world truth on the ground. An iconic auto manufacturer, Mercedes-Benz strives to lead the automotive industry in technology innovation. Learn how Mercedes created amazing experiences with Google Maps and the Places API in "Digital Drive Style" -- a connected, social navigation system powering the cockpit user experience from a smartphone. Research at Google is unique, as it is conducted across the entire Engineering organization - by Research Scientists as well as Software Engineers. Teams are integrated, boundaries are fluid, and we face challenges together while retaining a close feedback loop from our users. This enables us to quickly build, iterate, and launch new and innovative products that change the state of the art and thereby produce new research results. Google's definition of research is broad and happens in multiple ways across the organization. Our research results in technology advances in the areas of Audio/Video Fingerprinting, Image Understanding, MapReduce/Parallel Computing, Deep Learning, and Parsing at Scale, which we apply to many of our products. And, it also results in new whole new products, such as Voice Search and Google Translate. 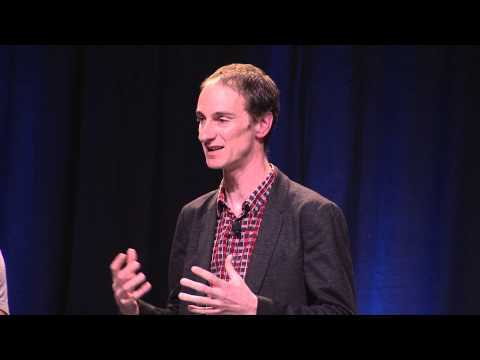 Learn about Google's hybrid approach to research from the engineers and scientists behind ideas such as Google Glass, MapReduce, Search, and online education, who conduct big idea experiments that translate into real-time innovation at Google. So you want to expand to an international audience ... where to start? what does it entail? how do I do it? how to promote in local markets? 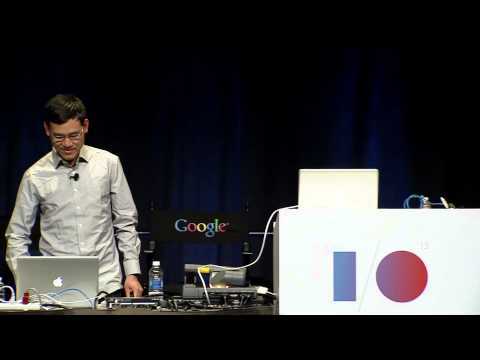 This talk will address above questions for android and web developers. In our journey of the where, what and how, we will take an in-depth look at various internationalization and localization tools available to you. From SOPA/PIPA and CISPA, to immigration and patent reform, government is taking a renewed interest in the Internet and the businesses we're building on it -- in some cases, there is even a new focus on the use of technology which can solve government problems. As a result, government is looking for input from our community of entrepreneurs and developers about what our needs are as a community, and how they can build better public policy in our interest. So, what are the most efficient, easy ways for you to get involved? Join us for a panel of some leaders in the Internet advocacy space to learn how you, as a developer, can get more involved in creating better policies that can affect your business. Learn about the power of the modern web and use WebRTC to build a simple video and text chat app. In this codelab, we'll help you get to grips with the core APIs and technologies of WebRTC: MediaStream (aka getUserMedia): what is it and how can I use it? RTCPeerConnection: what is important about WebRTCs most powerful API? 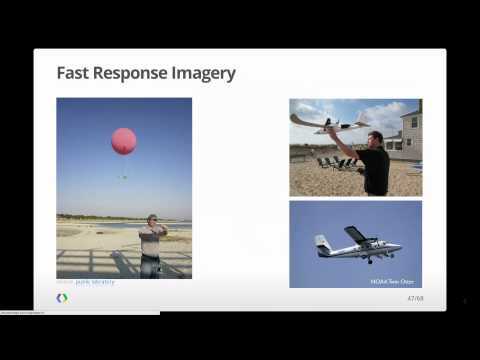 RTCDataChannel: how can I set up real-time communication of arbitrary data? Signalling: what is it and how do I set it up? Servers: what do I need for signalling, STUN, and TURN? The lead UX Designer and the Engineering Director for Google Maps will be covering technical and design considerations around creating the rich experiences of Google Maps, including deep dives into several innovative features. This talk will offer a rare insight into the thinking and challenges behind the scenes of the leading online mapping service. Discover the latest features of the Google Visualization API and master the new methods of creating elegant, data-driven charts. How you can use save files on Android and let the Drive SDK deal with the messy details of uploading it to the cloud, and having it available and synchronised on all devices. WebP is a new, open-source image format which provides lossy and lossless compression of images with significant byte savings: 30-80% smaller image files when compared to jpeg and png! 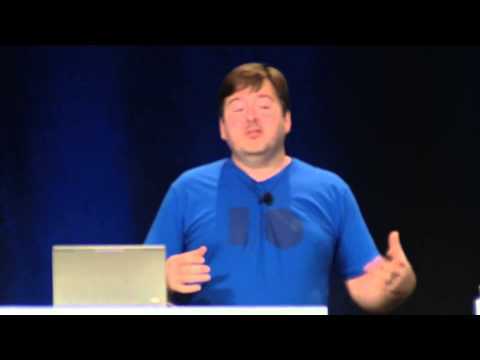 In this session we will cover the latest features, news, and future roadmap of the WebP format. 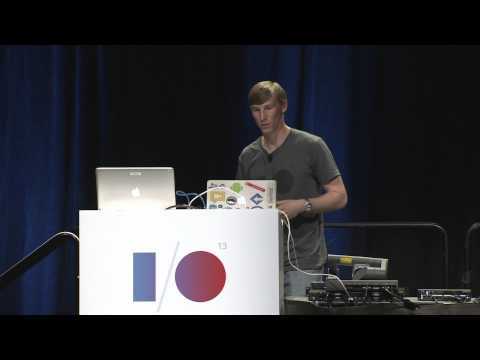 We will dive into a few hands-on case studies and recount how large sites and applications deployed WebP, the challenges they faced in the process, and the benefits they saw and measured after the migration. In other words, a 0-60 primer on WebP: what it is, how to get started, the tooling, and the benefits - bring your propeller hat! Hundreds of millions of users rely on Google Translate what new markets your apps, sites, or analytics unlock with our Translate API on the Google Cloud Platform? Well explore the AI that Google uses to analyze billions of documents across 60+ languages. Understanding how statistical machine translation works can help identify appropriate commercial applications, such as user-generated content, news and reviews, and localization.